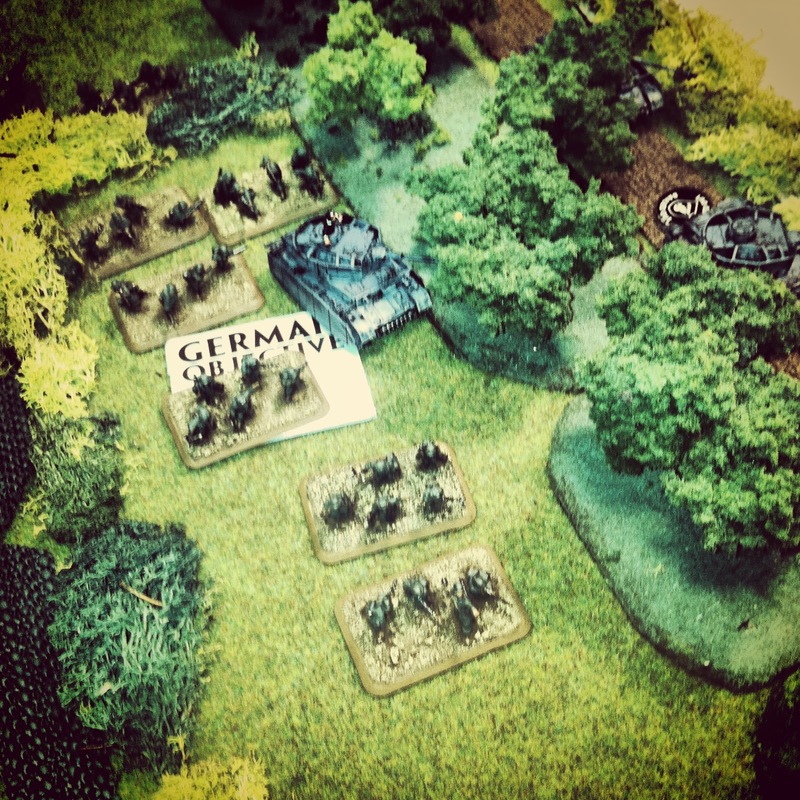 The Blitzkreig of German armored forces is one of the more enduring tactics introduced in World War II. 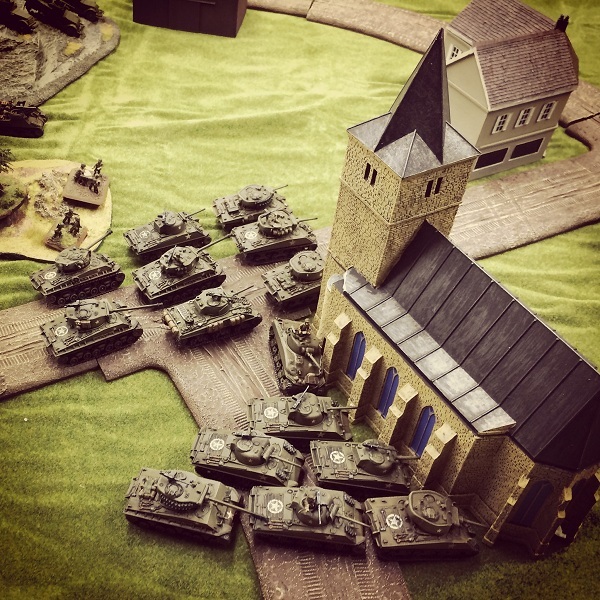 Swarmed masses of German tanks and mechanized forces in the early war period rolled through Poland, France, Belgium and the Netherlands in Western Europe and punched into the Soviet Union with Operation Barbarossa in 1941. 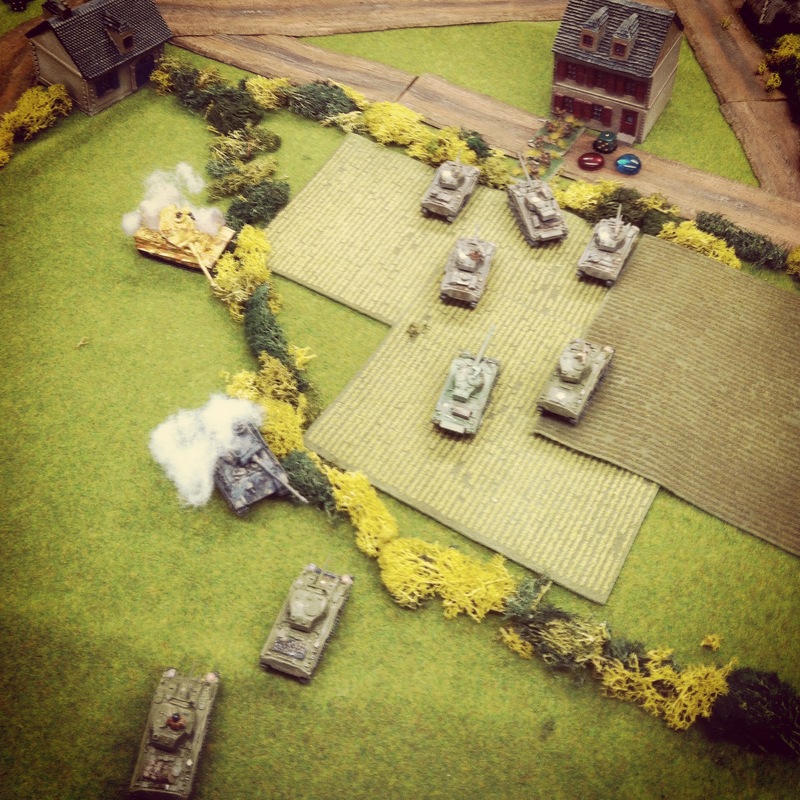 With early Panzer and later Panther and Tiger tanks ruling the battlefields of Europe, Allied forces struggled for solutions to crack the German tide of iron. 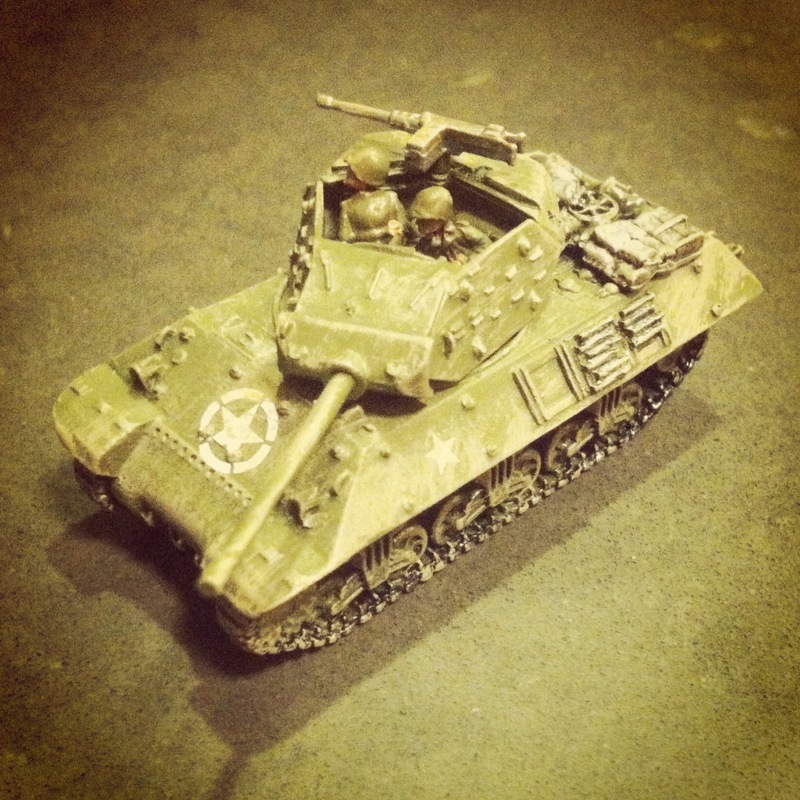 By mid-war, the Americans had a solution with the M10 tank destroyer. 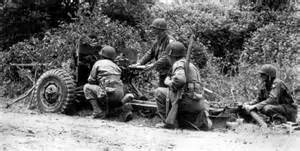 Introduced first into the battlefields of North Africa in 1943, the M10 GMC (“gun motor carriage”) carried a big 3-inch/76mm gun and on a Sherman hull. 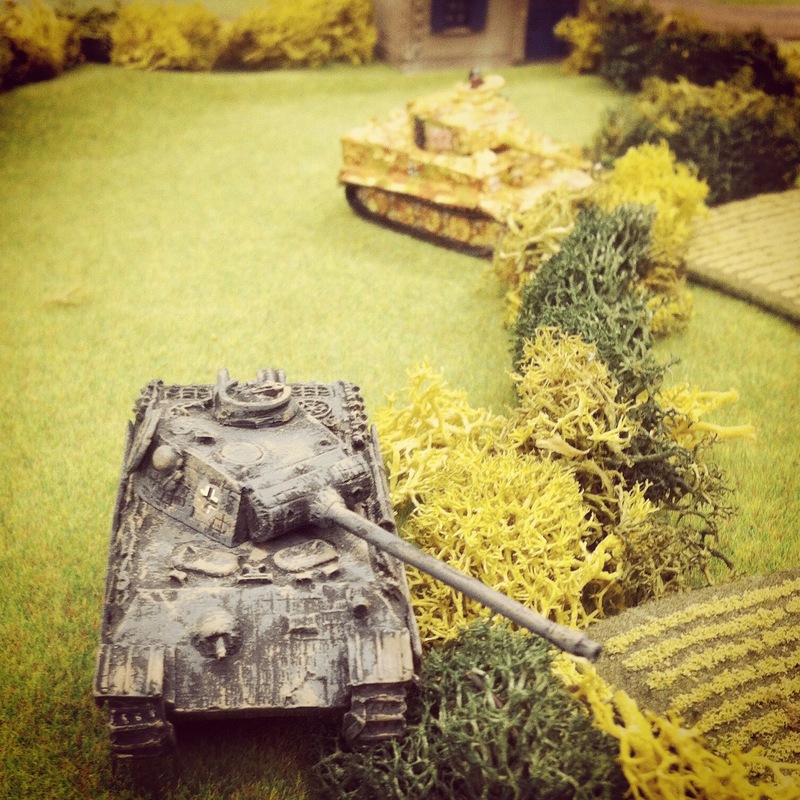 After success in Africa against earlier model German tanks, M10s became part of the post-D-Day Allied breakthrough campaign. 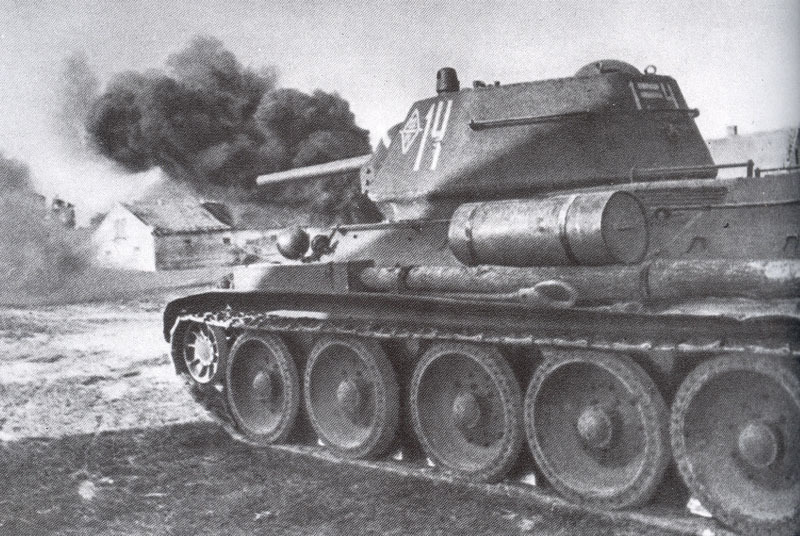 While effective against Panzer III and IV tanks, more heavily-armored Panther and Tiger tanks still proved problematic. 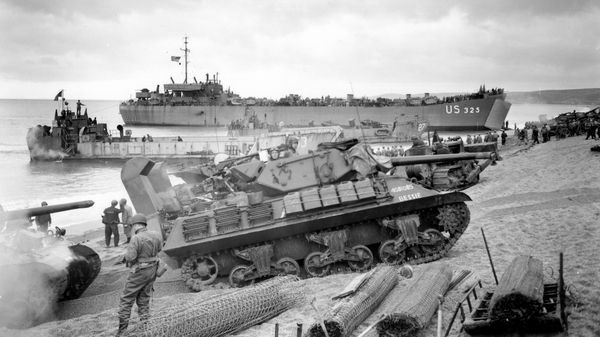 Luckily, the M10 was supplemented by the British-modified Sherman 76mm Firefly and the later US-built M18 Hellcat which was quicker on the field. 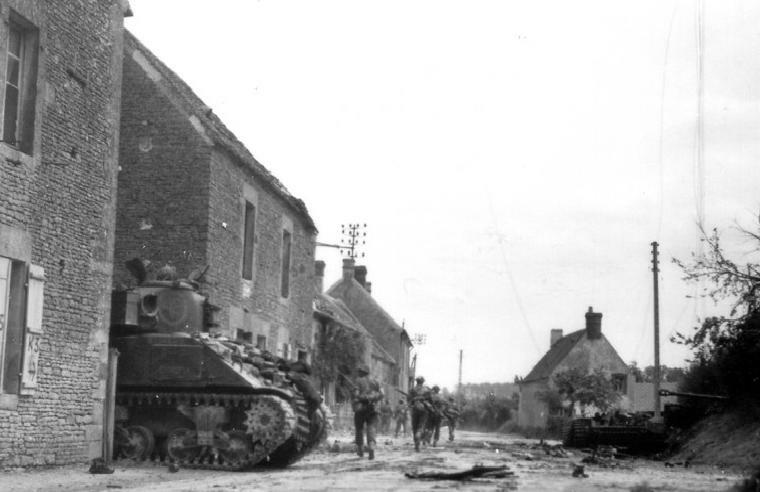 The combination of these three tank destroyers, along with the stalwart work of Allied infantry and deadly air support, turned the tide in Europe. 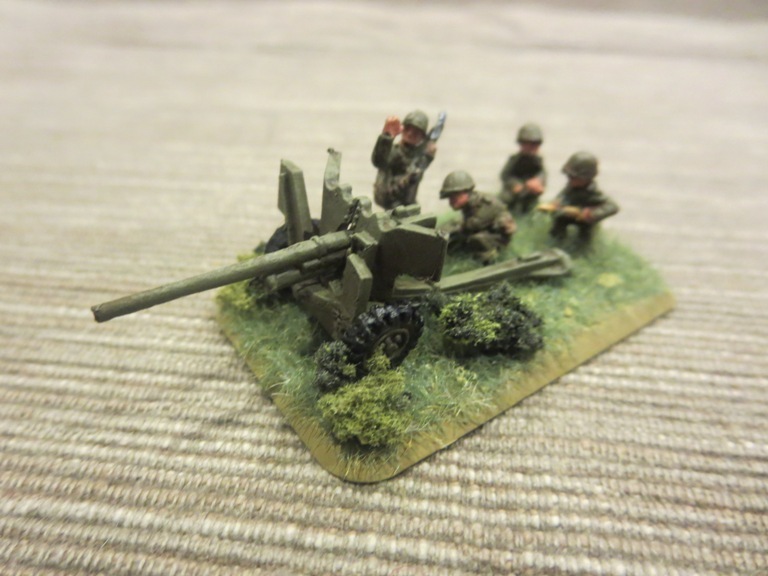 One of my earliest 15mm WWII purchases years ago, and somewhat at random, was the now-discontinued M10 Tank Destroyer Platoon set from Flames of War. 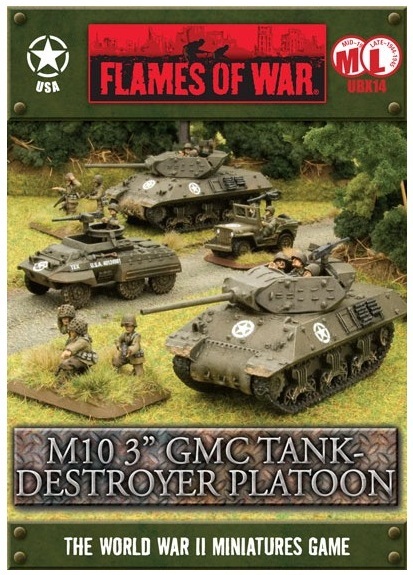 I think at the time, I just liked the look of the models and I was looking to fill-out my new US forces with more variety. 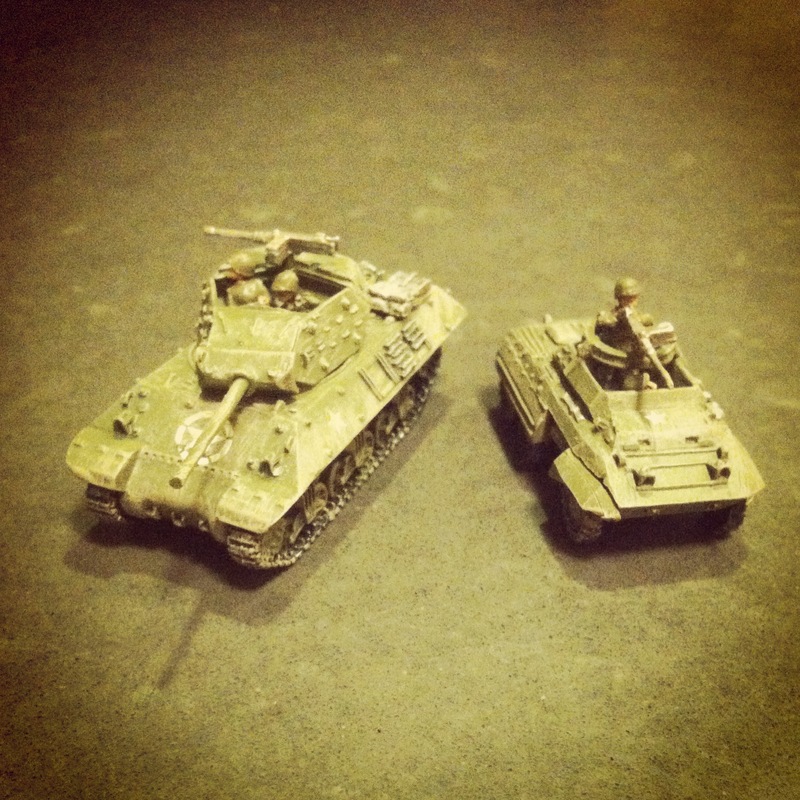 To get to a full platoon of four M10s, a fellow club member at Metropolitan Wargamers in Brooklyn, NY recently gave my two more M10s to which I’ve added an additional M20 scout car. 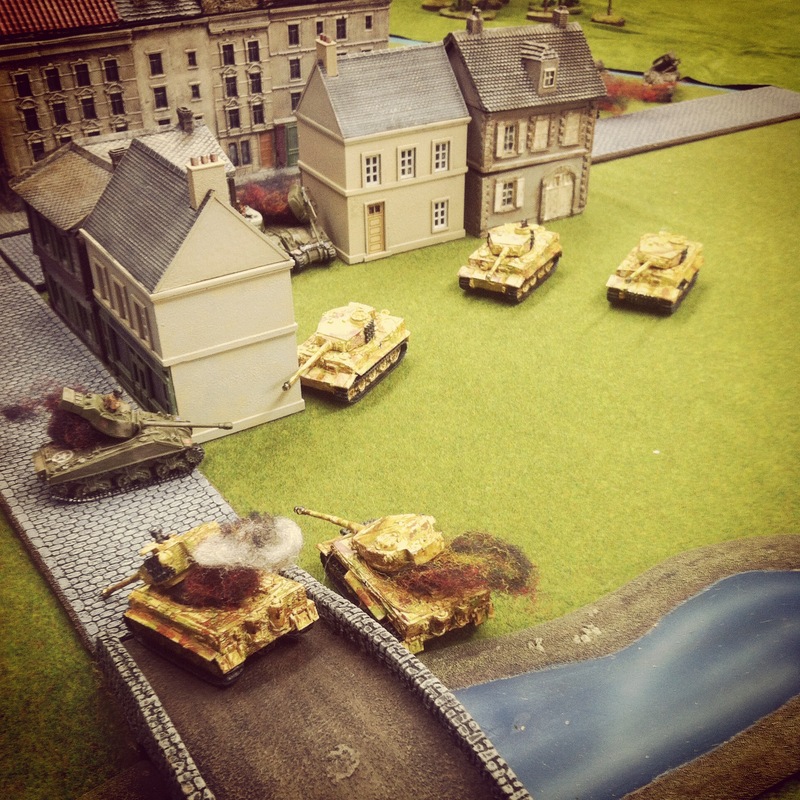 With my existing and new section sections, I now can field a full tank destroyer platoon using a variety of Allied Late War European lists. 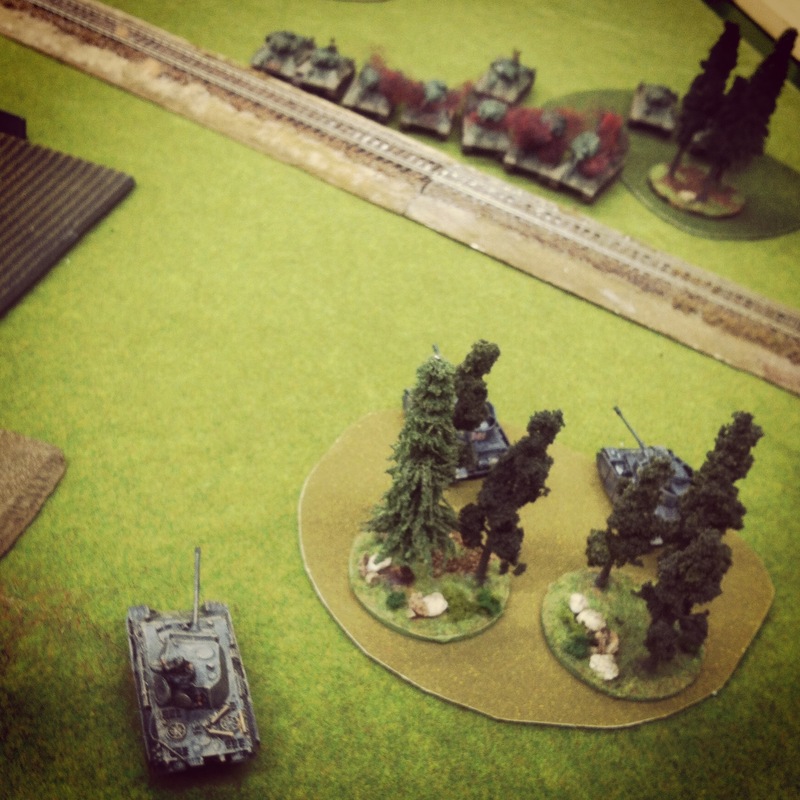 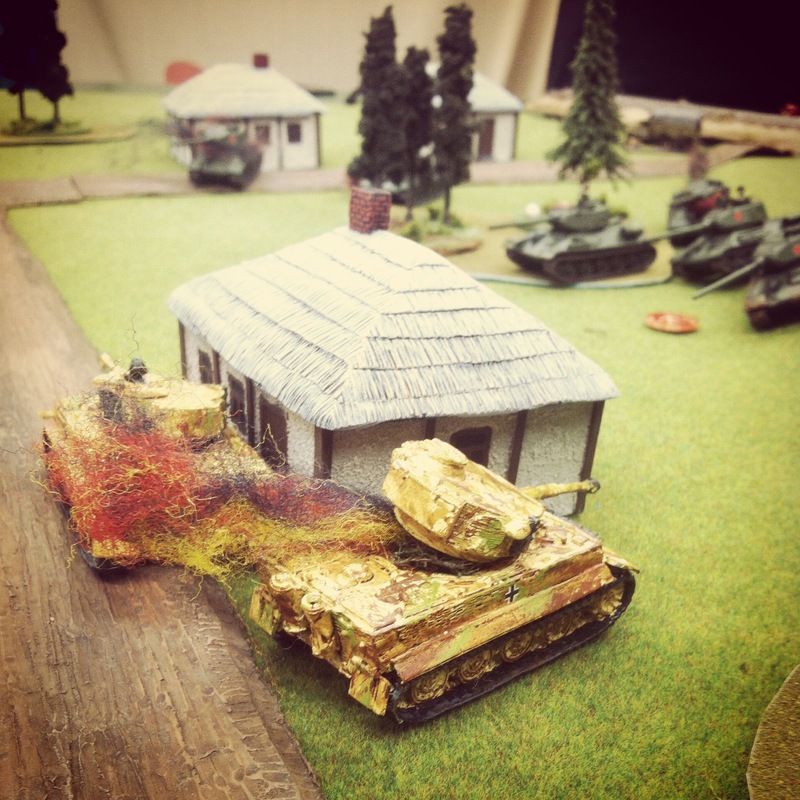 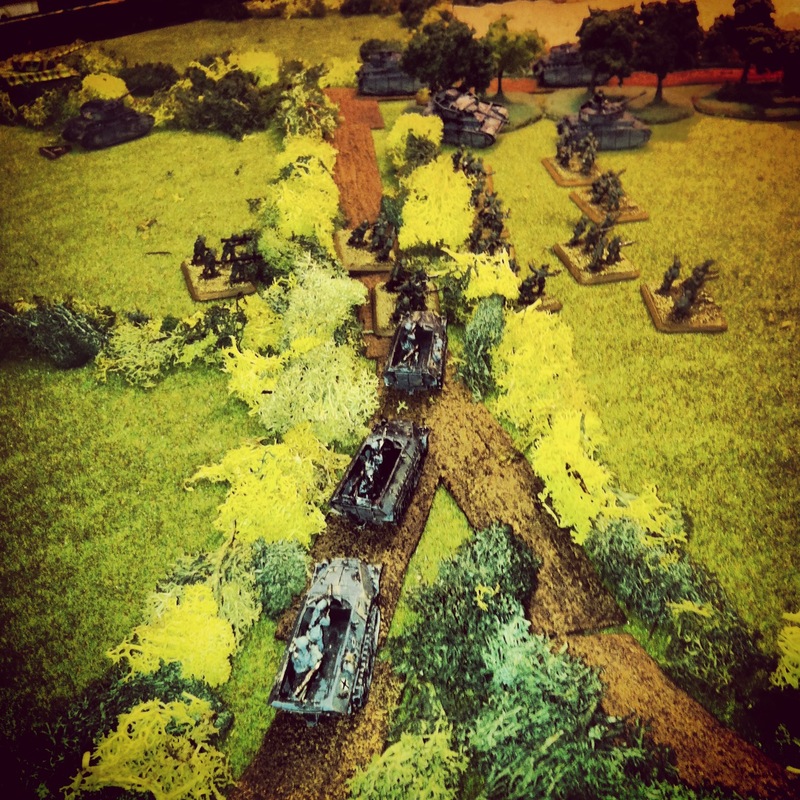 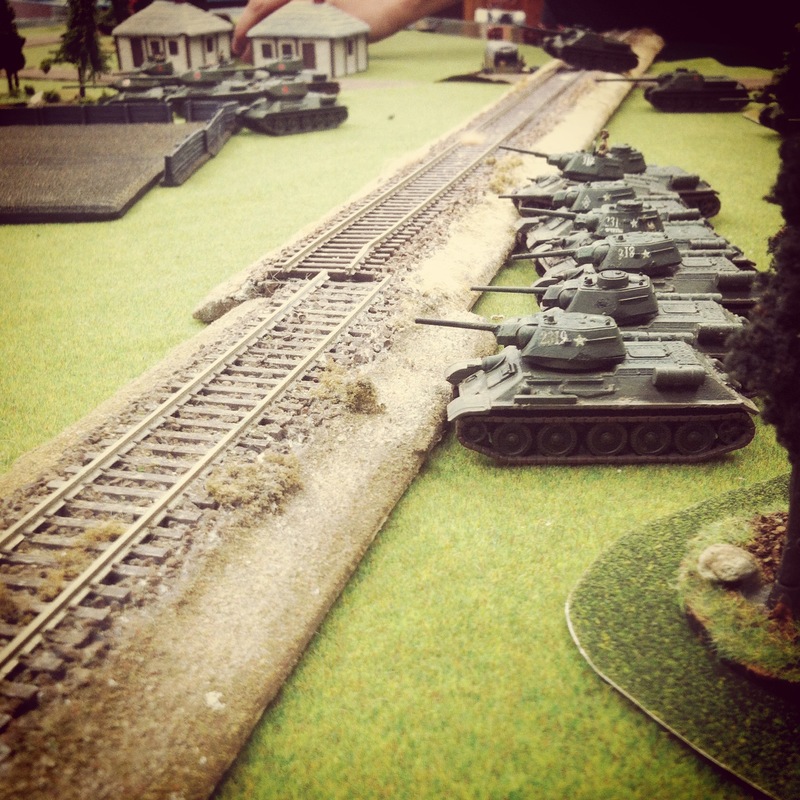 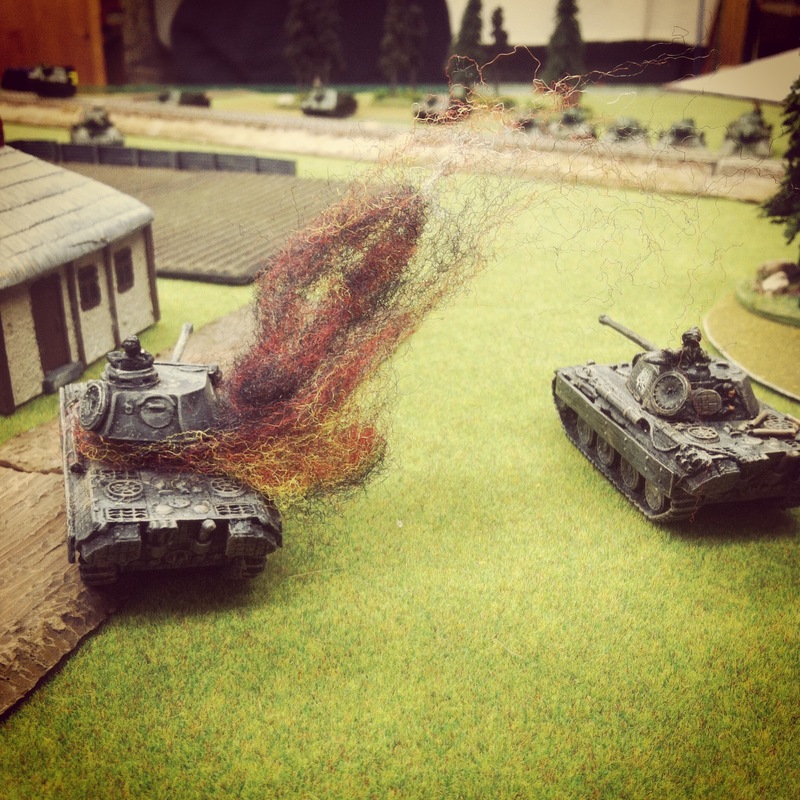 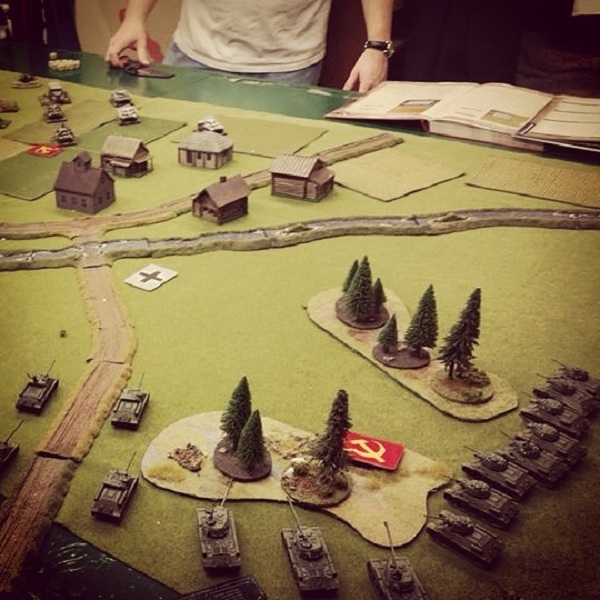 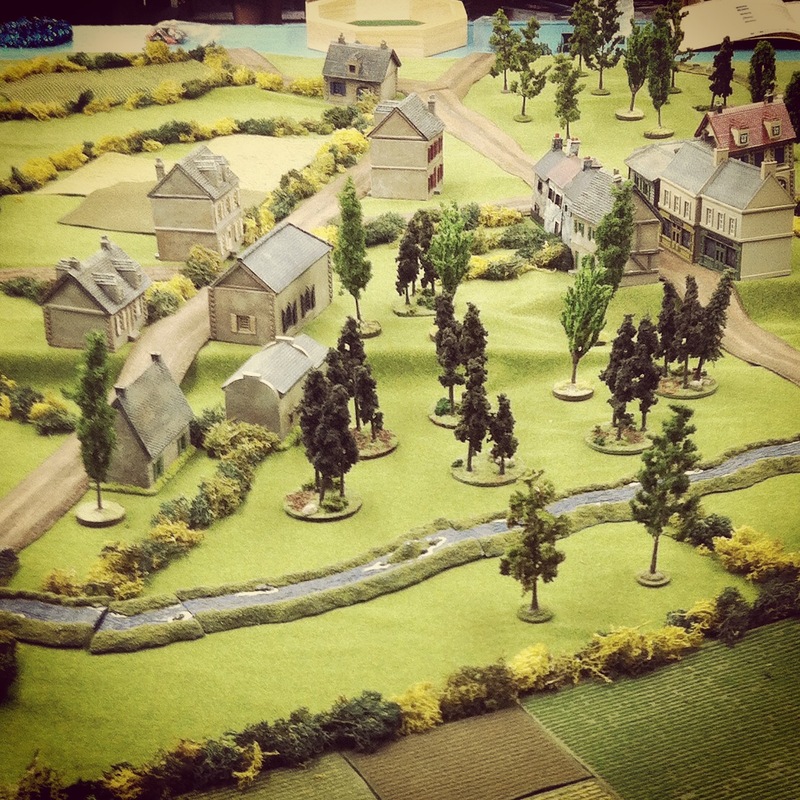 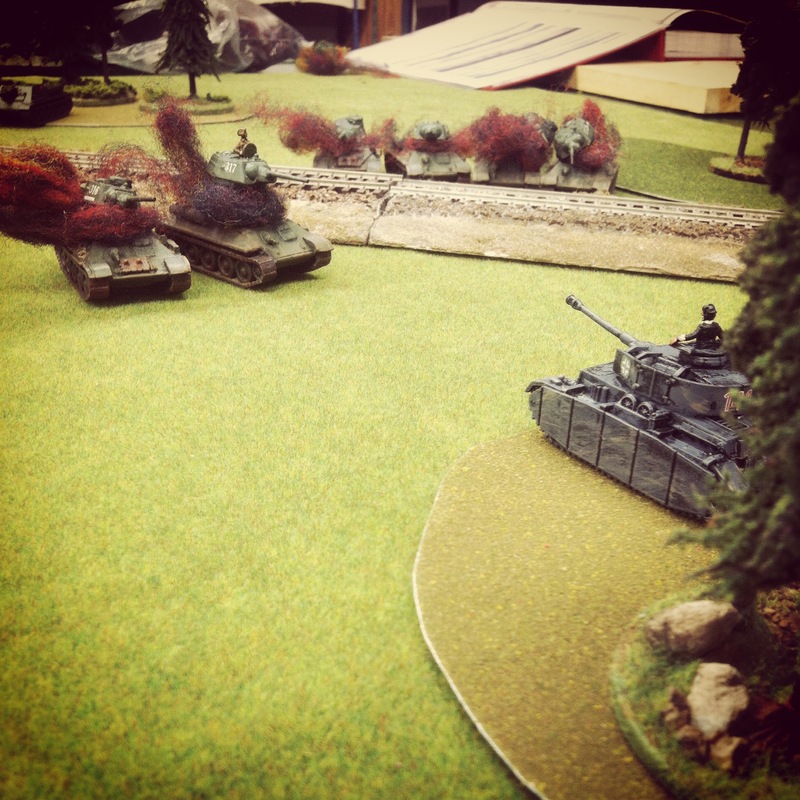 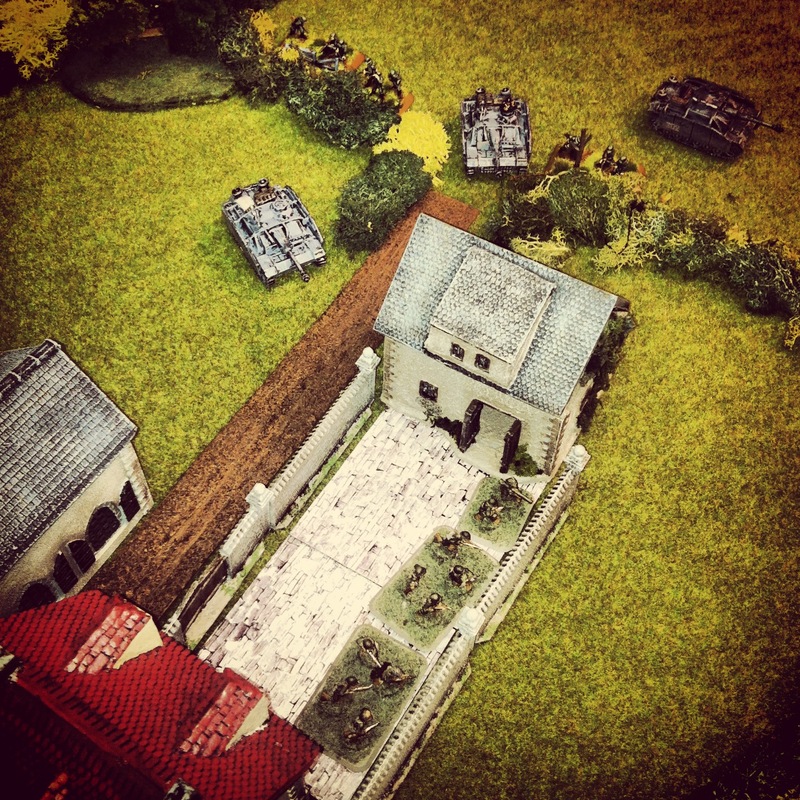 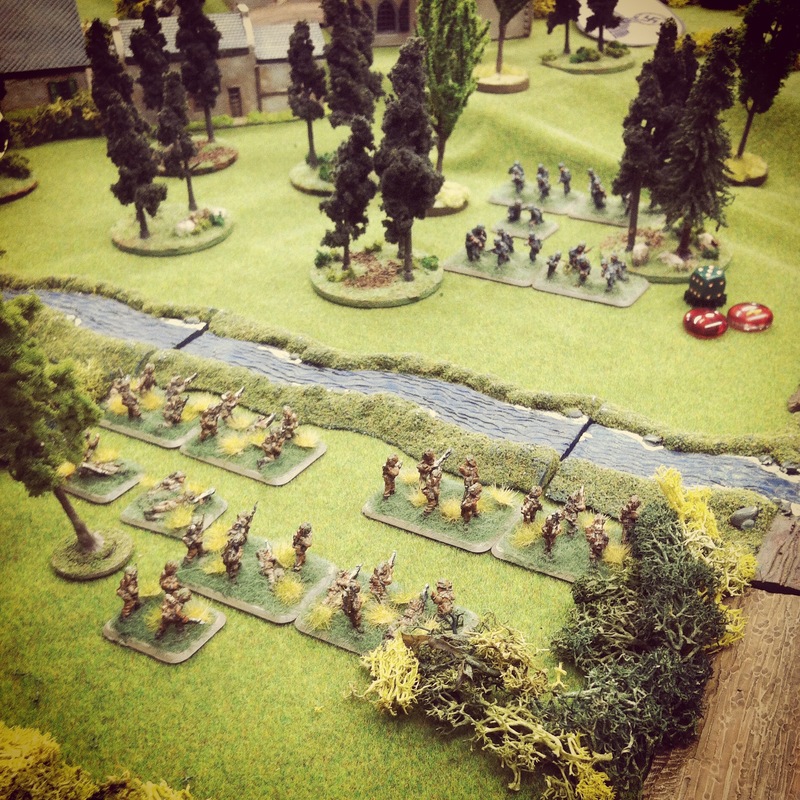 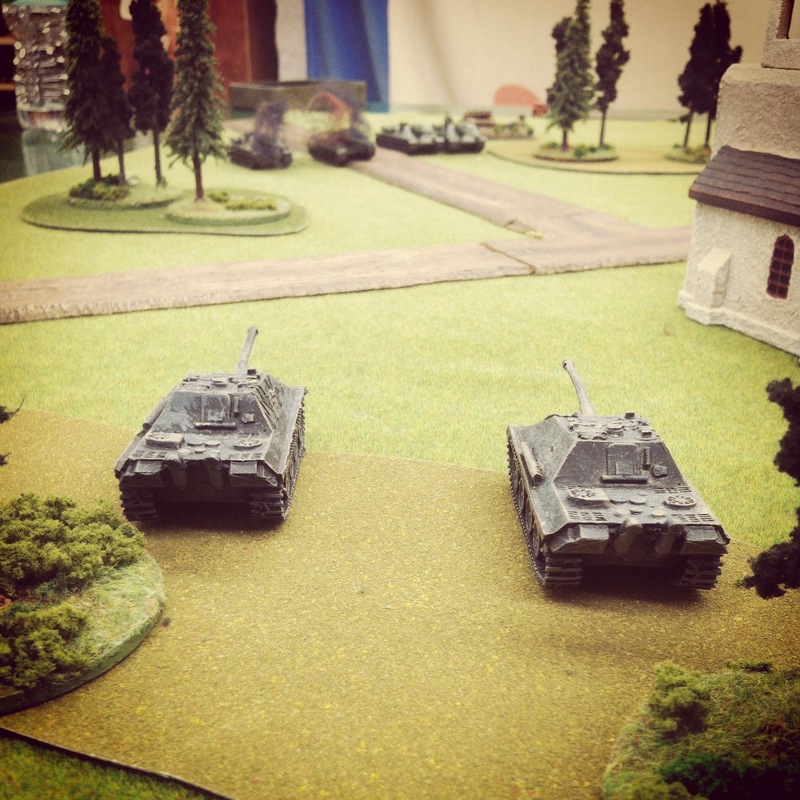 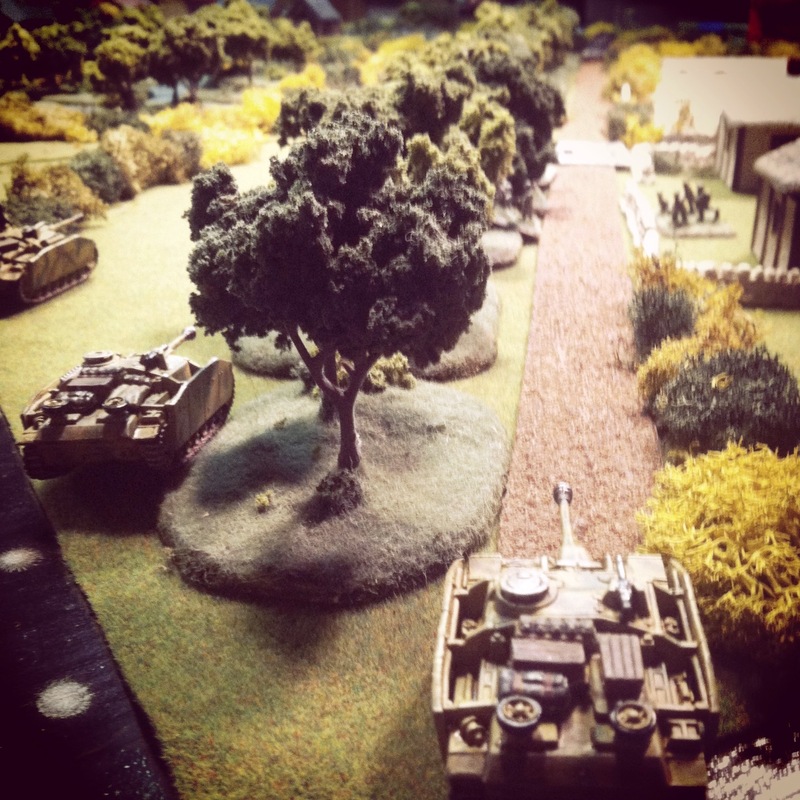 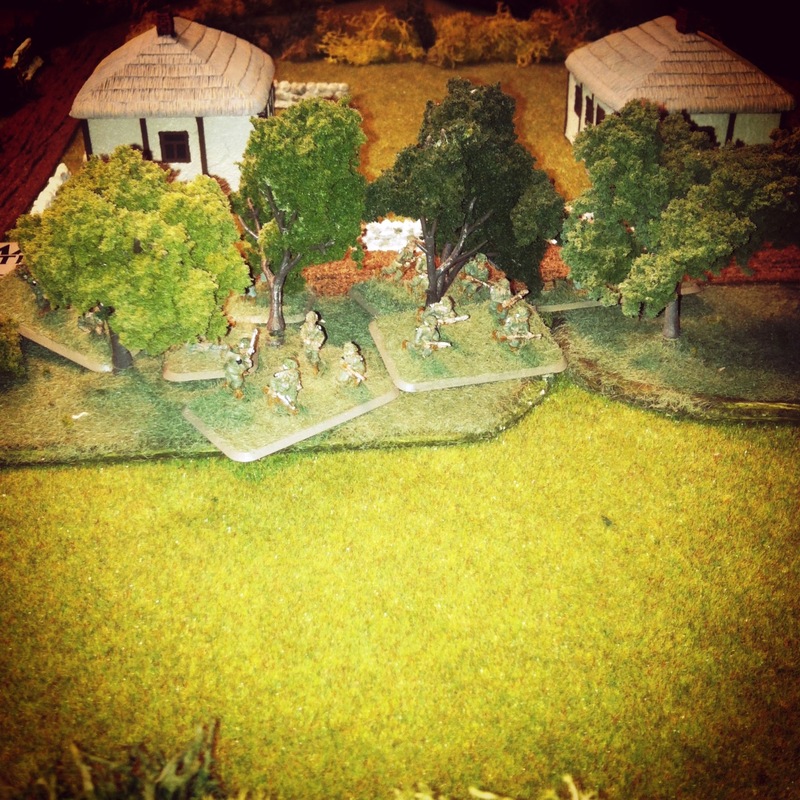 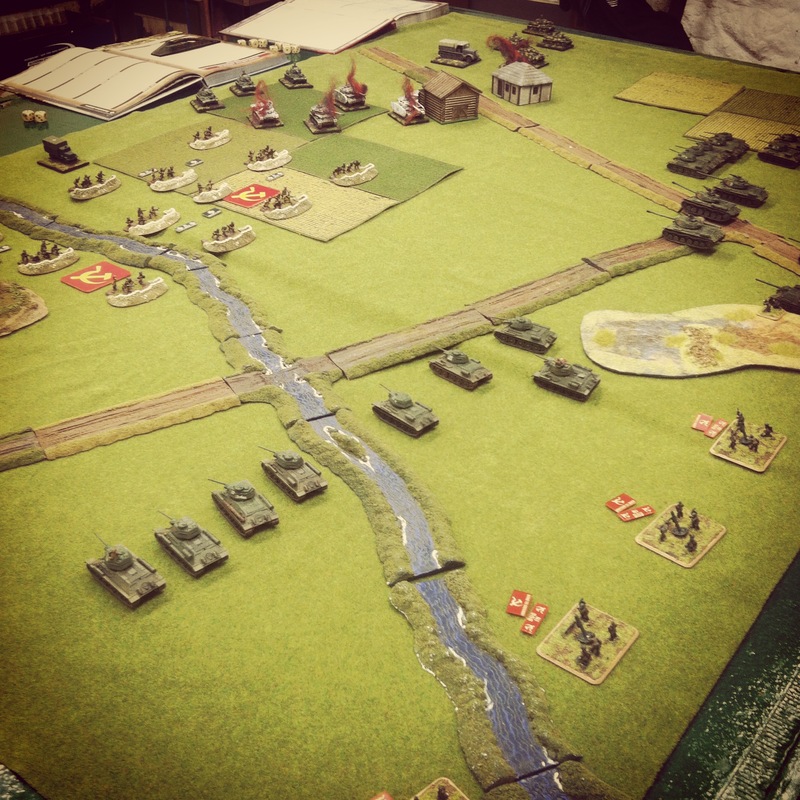 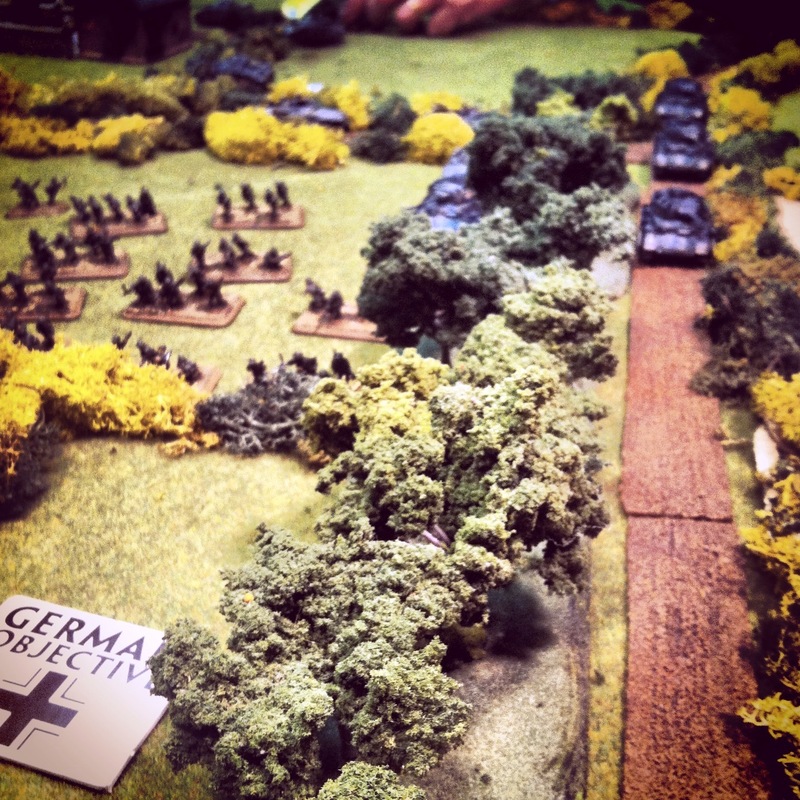 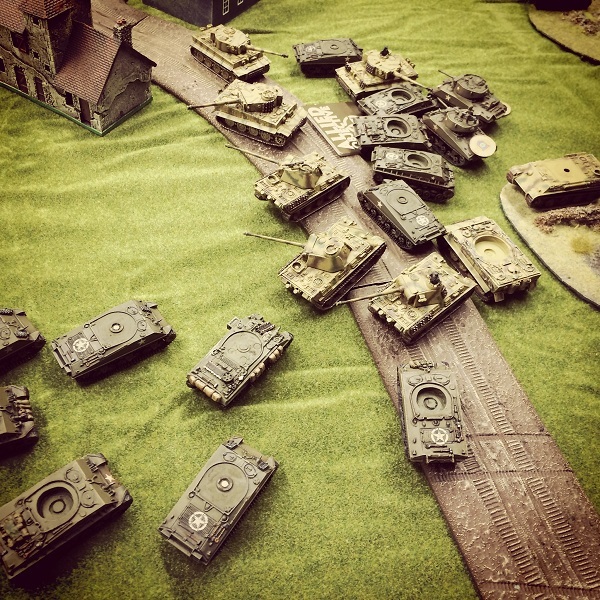 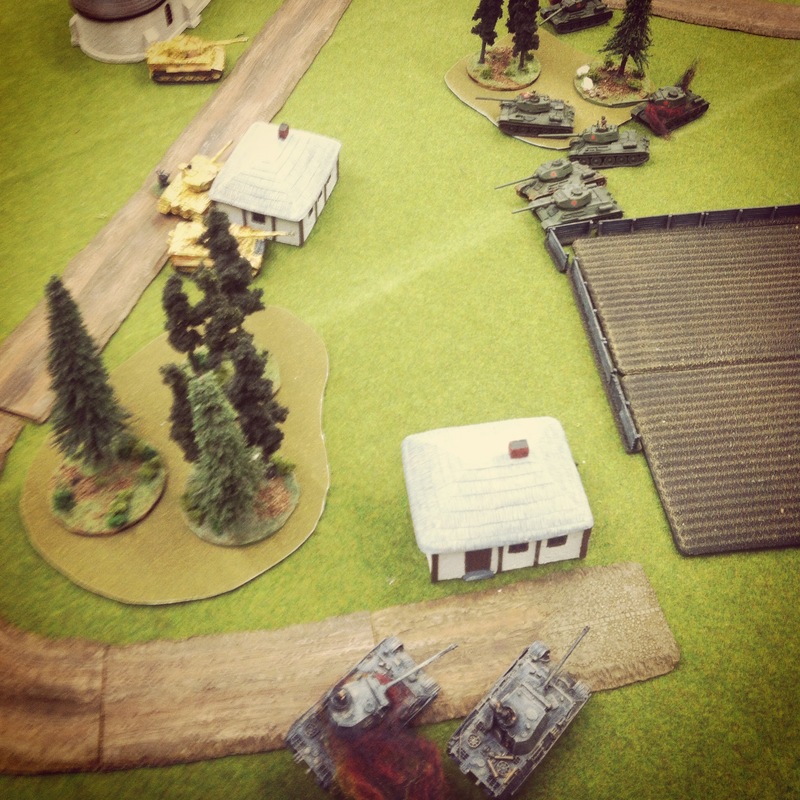 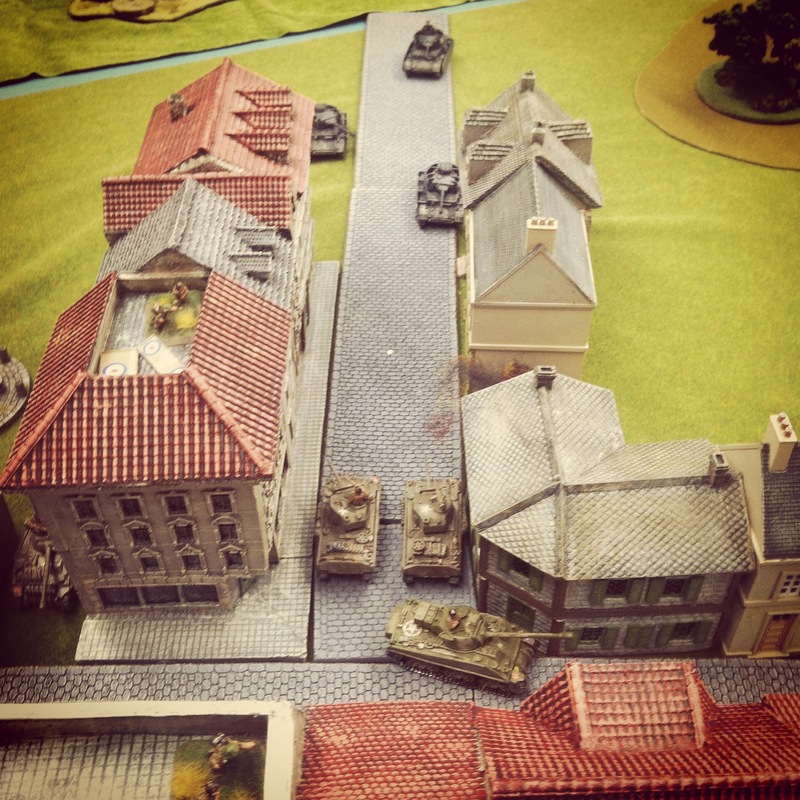 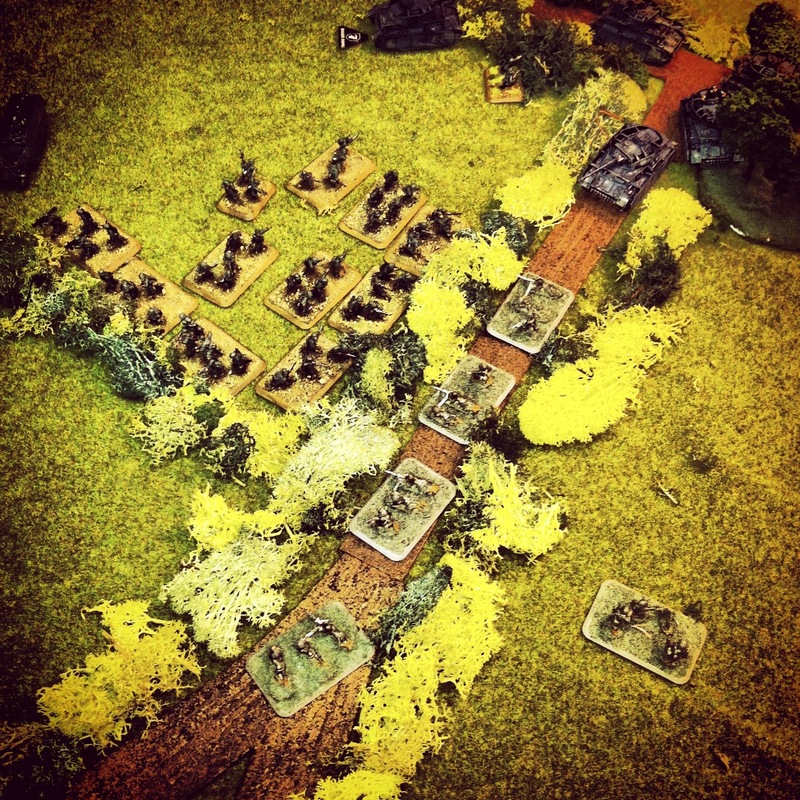 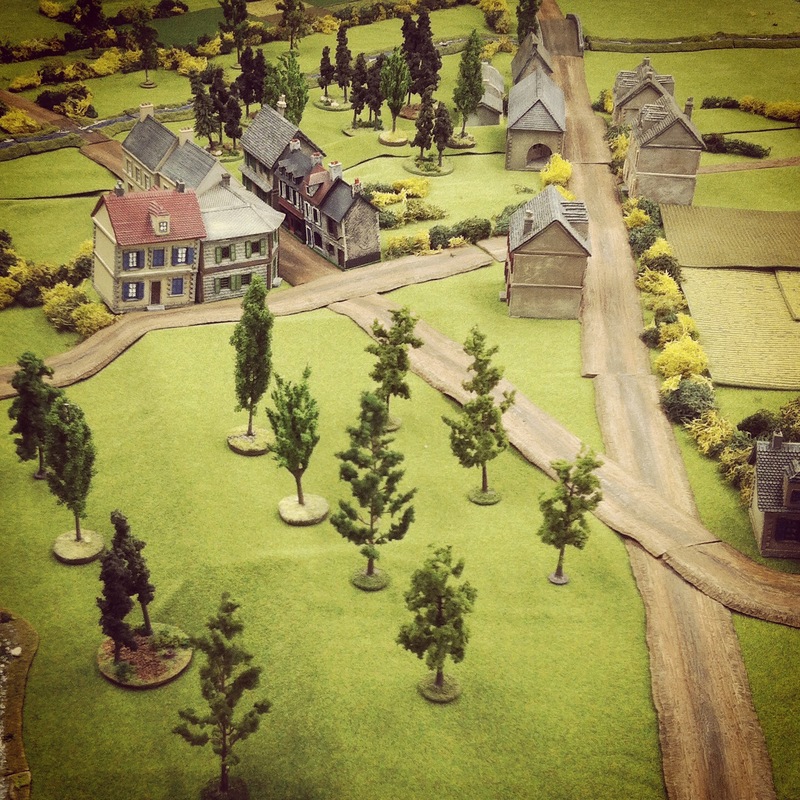 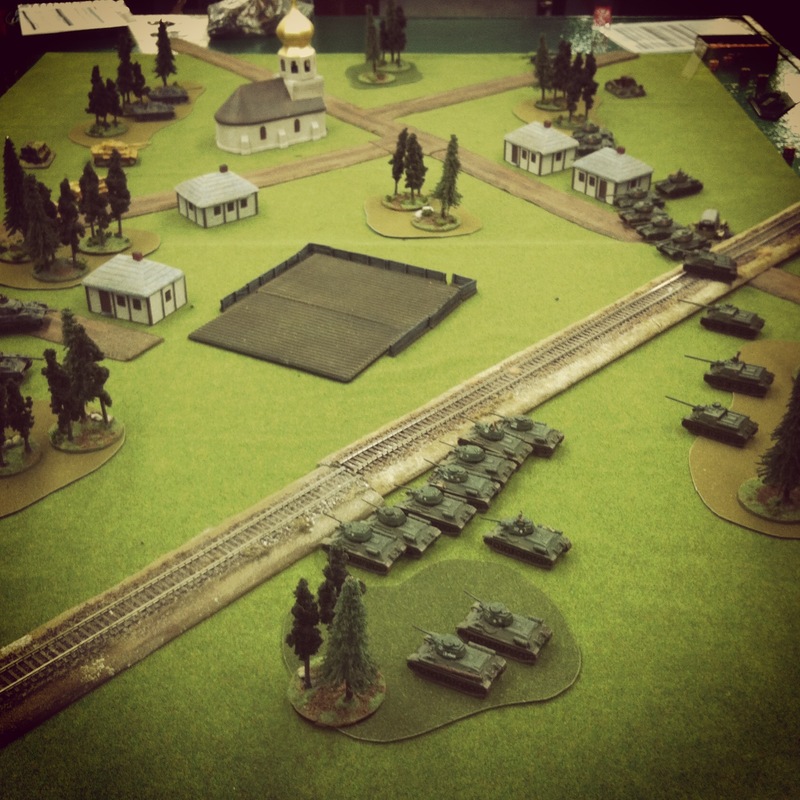 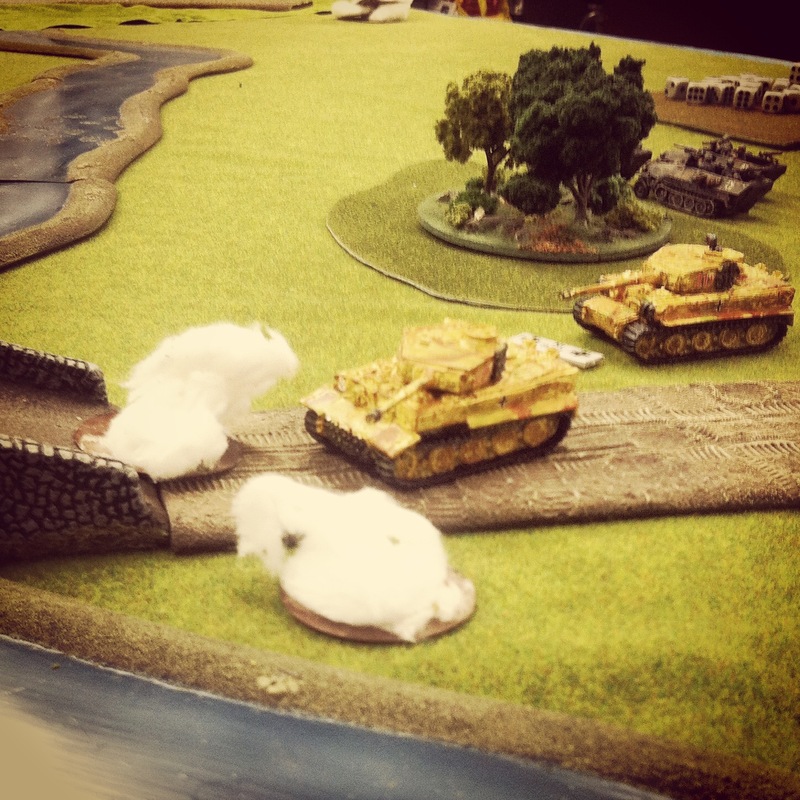 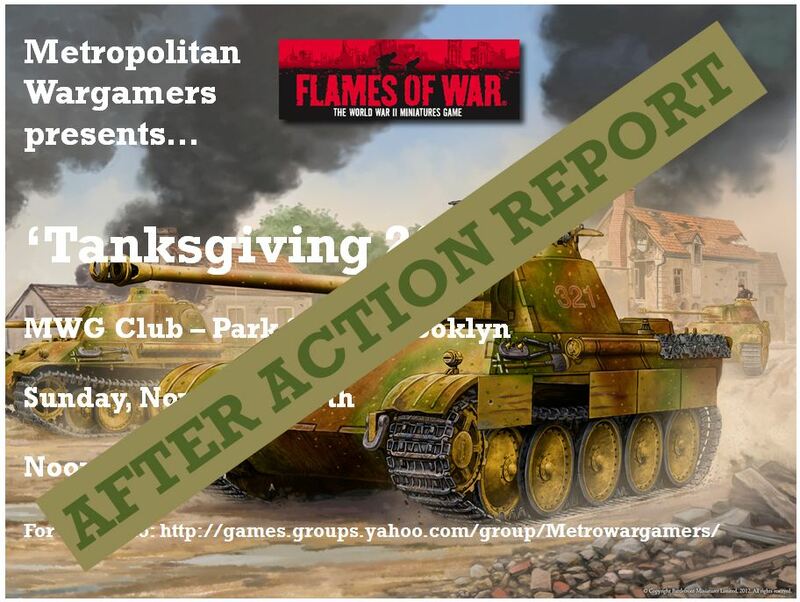 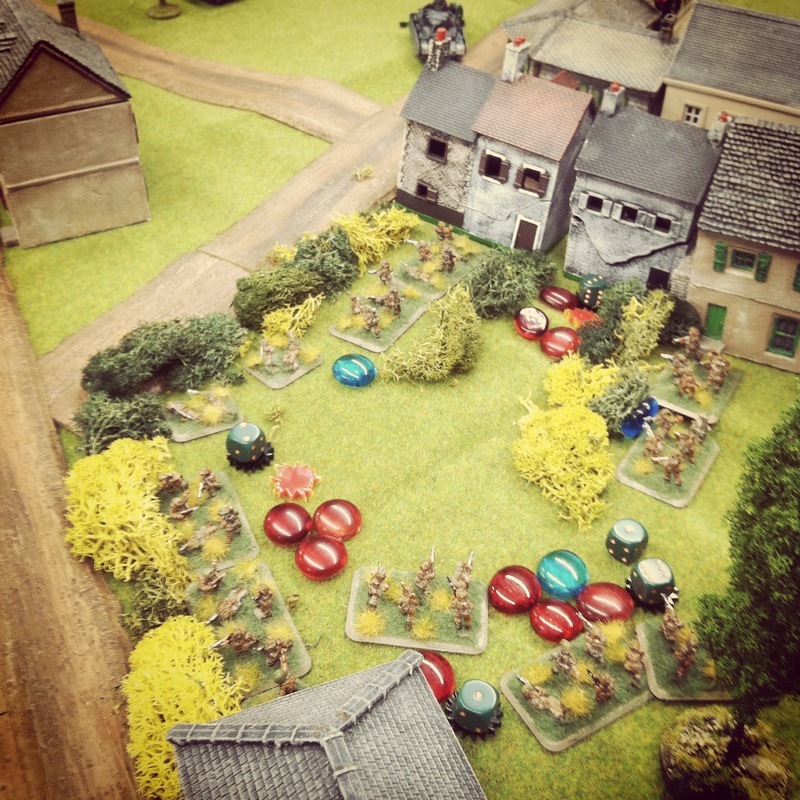 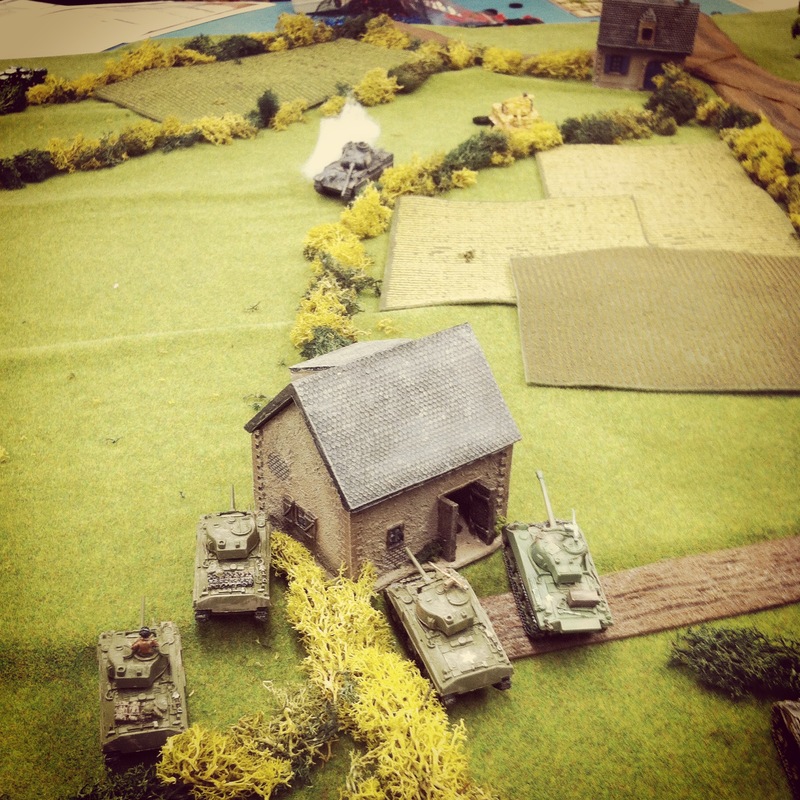 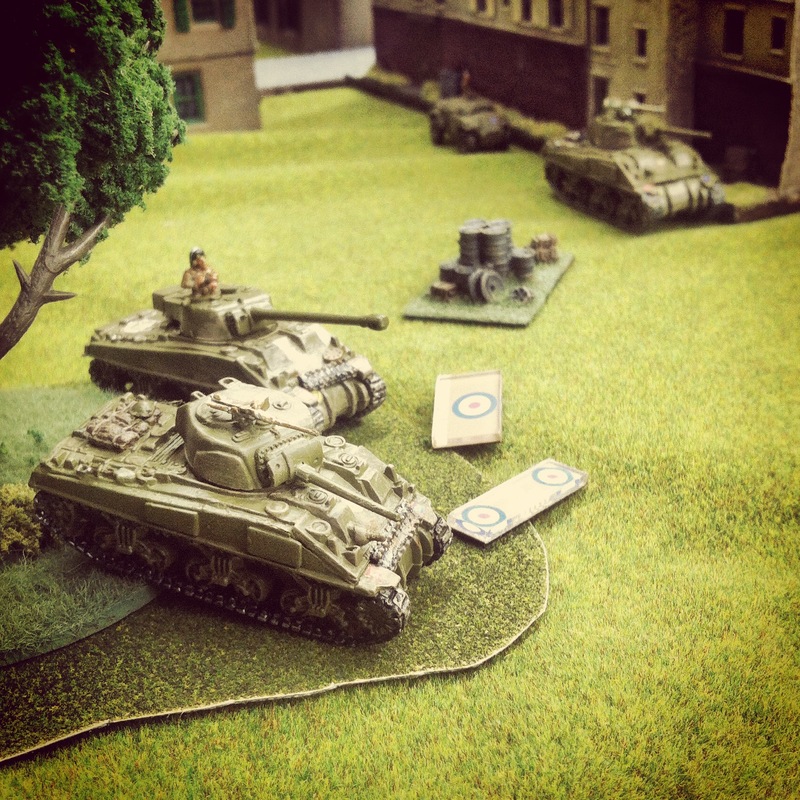 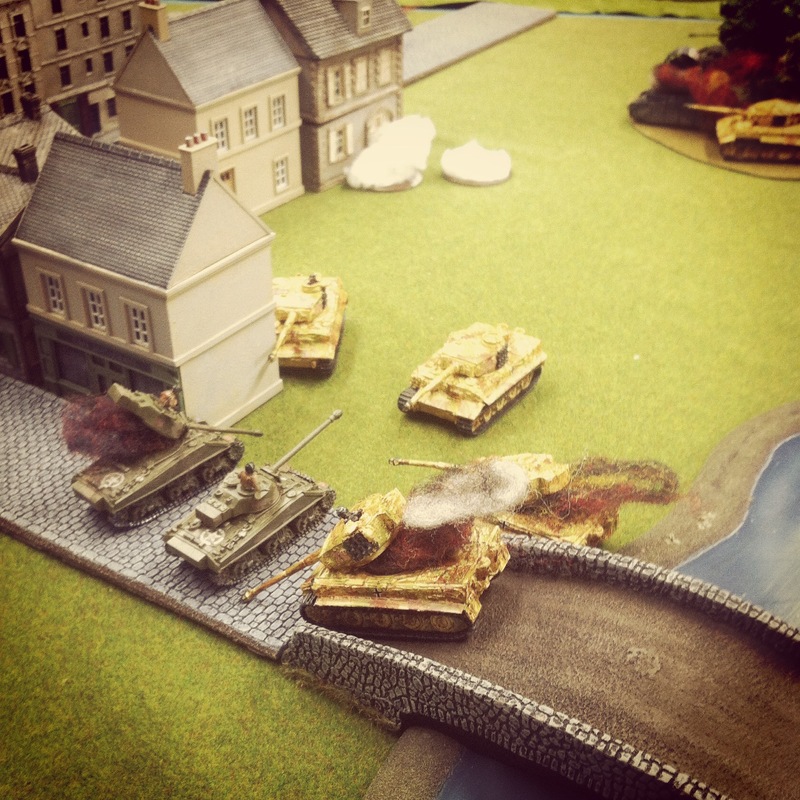 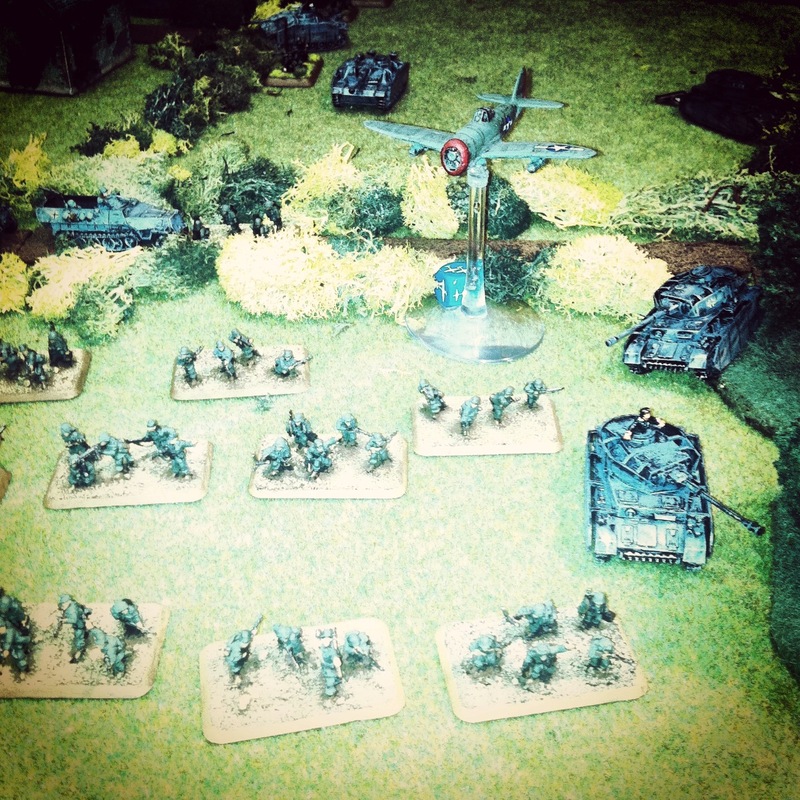 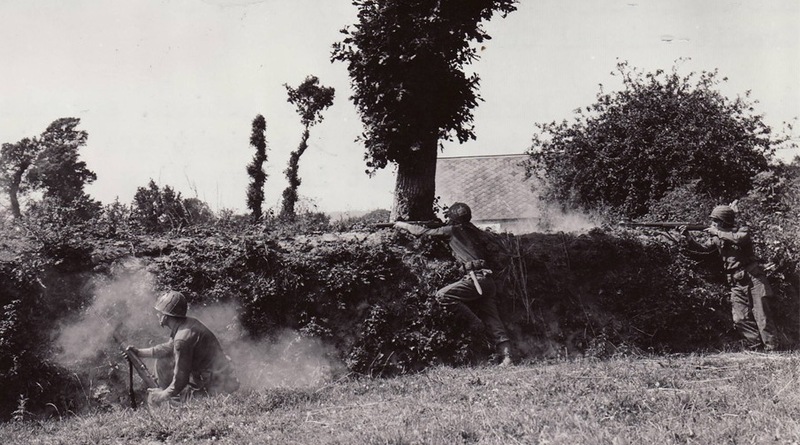 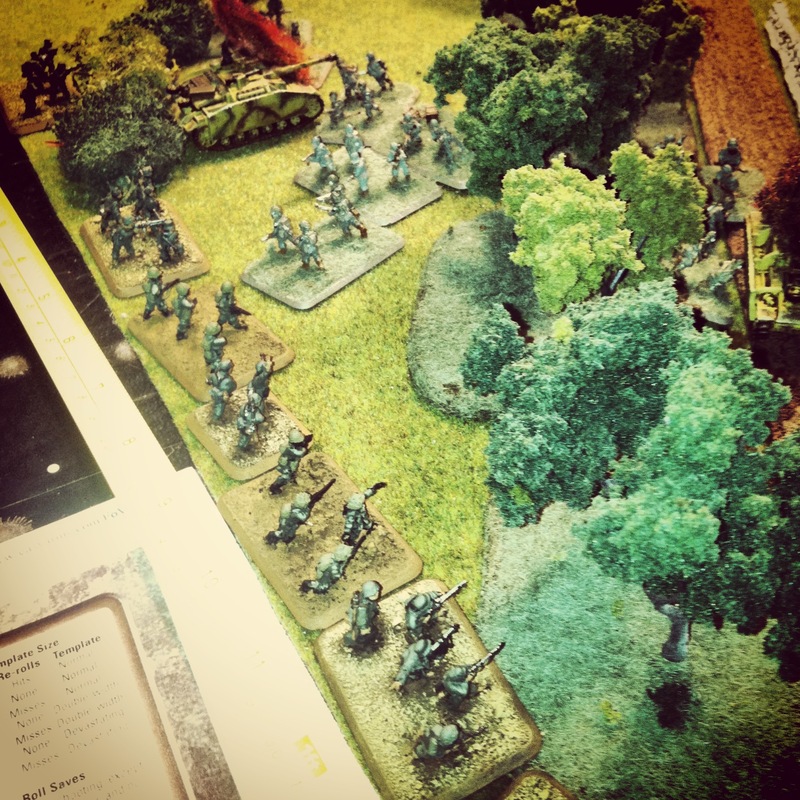 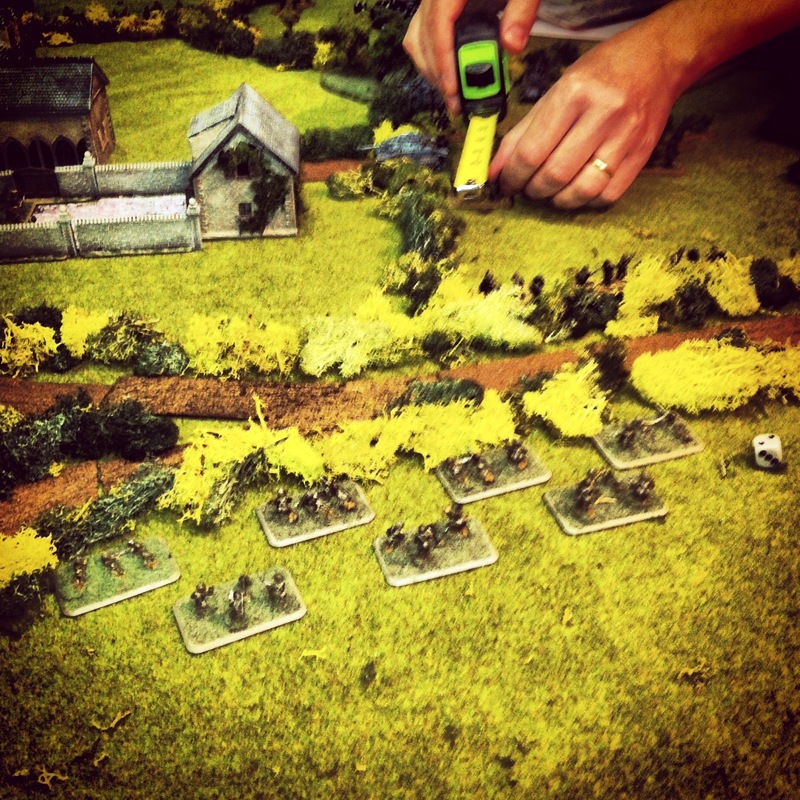 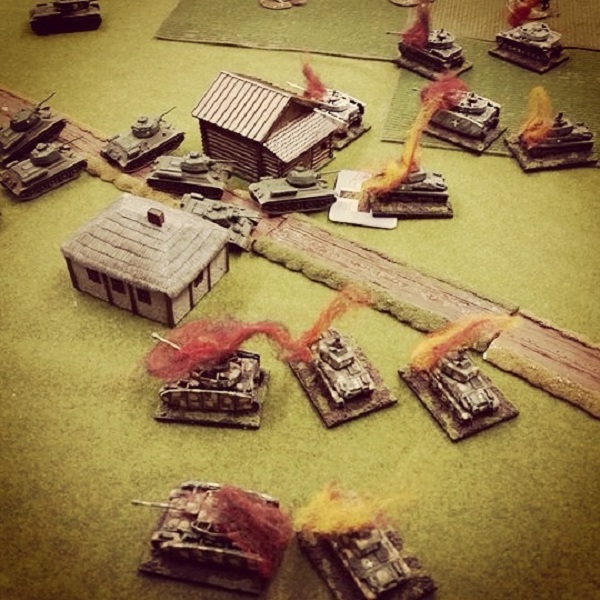 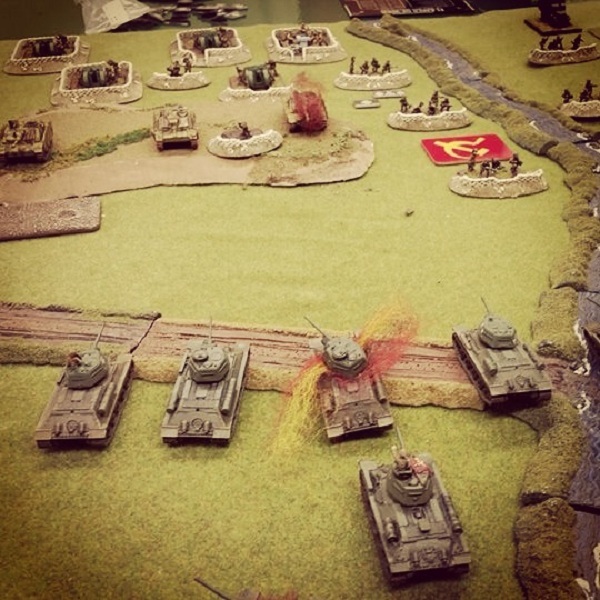 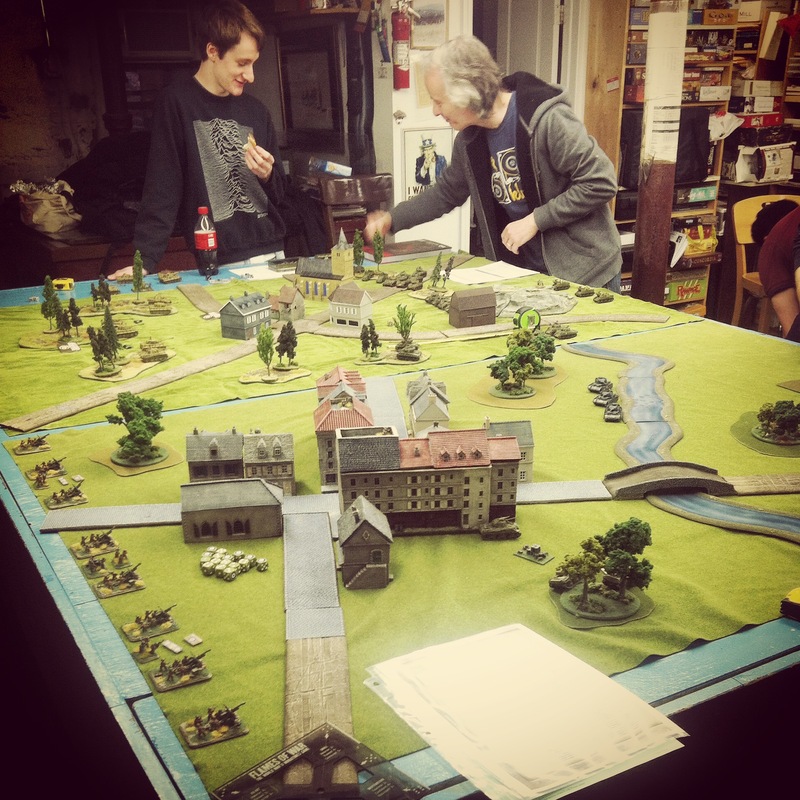 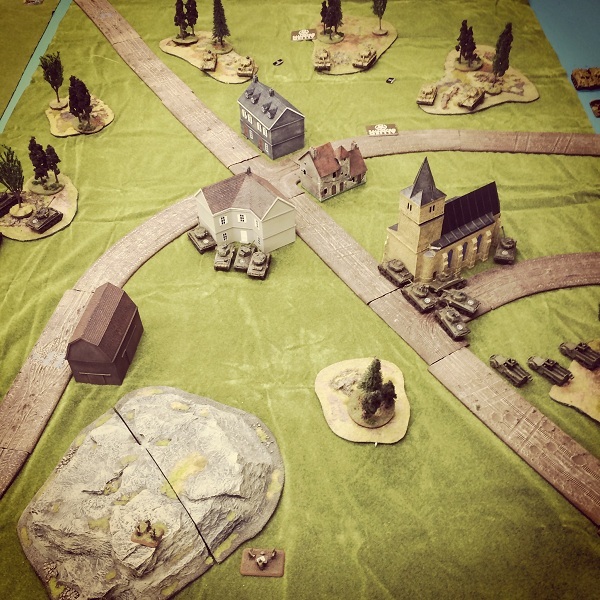 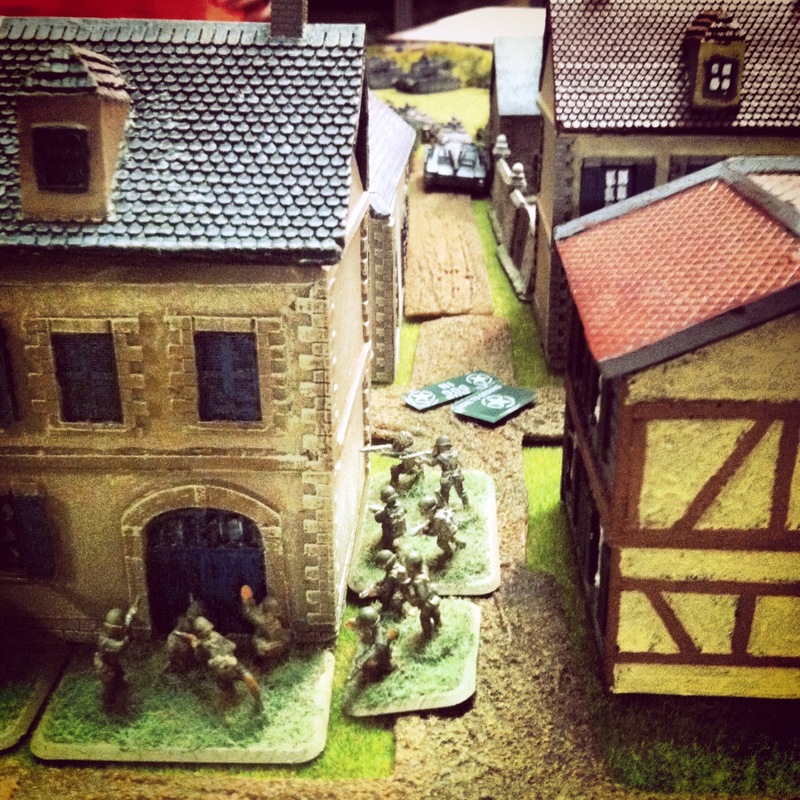 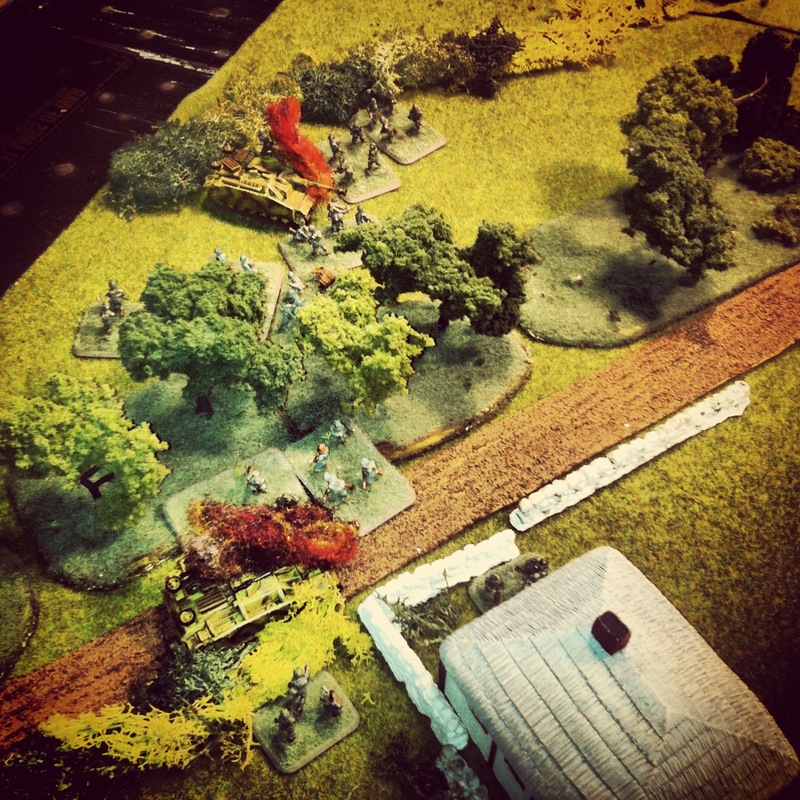 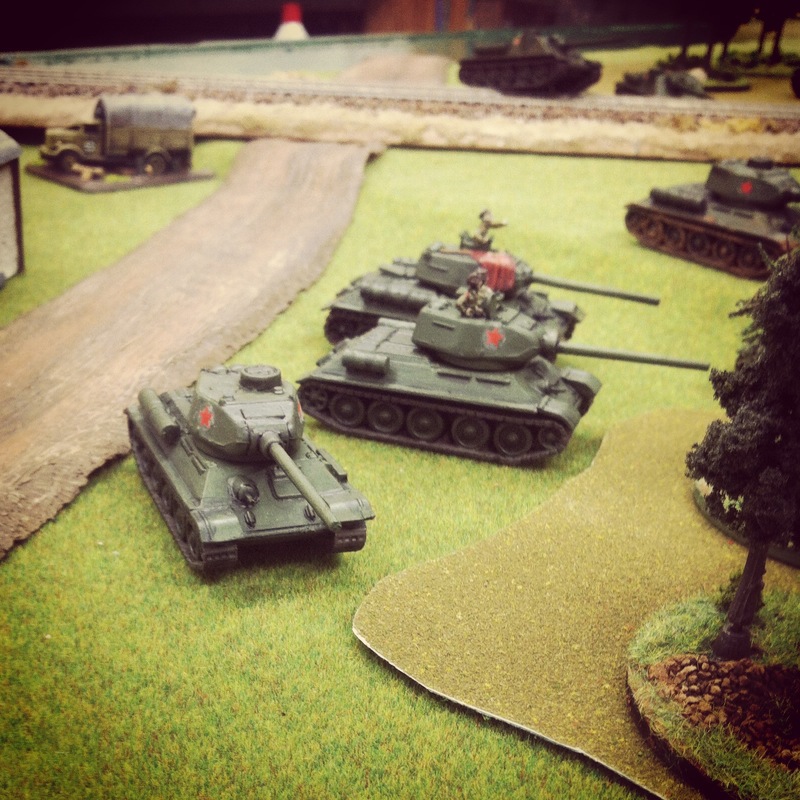 Anti-tank tactics in the game provide multiple opportunities for the M10 platoon to be used in combination with infantry and other Allied armor on the game table. 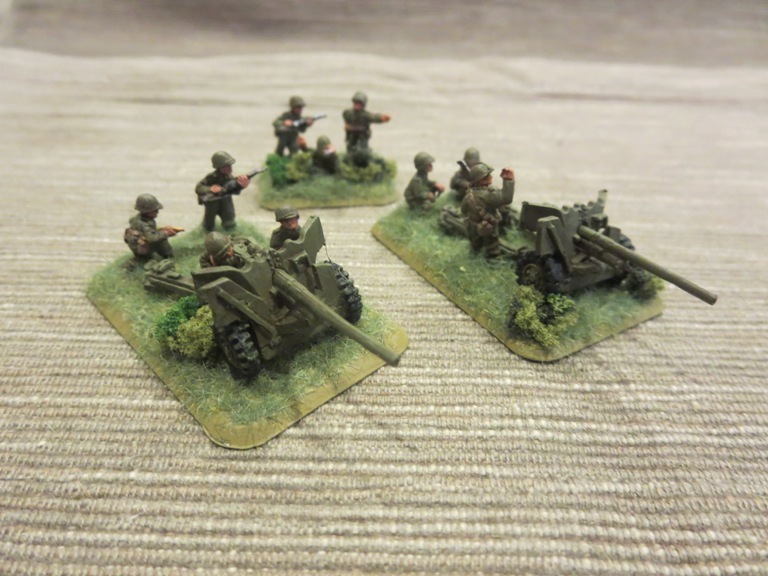 With optional deployment as a recon platoon using the M20 scout cars, the M10s can create ambushes to wreak havoc on German tanks. 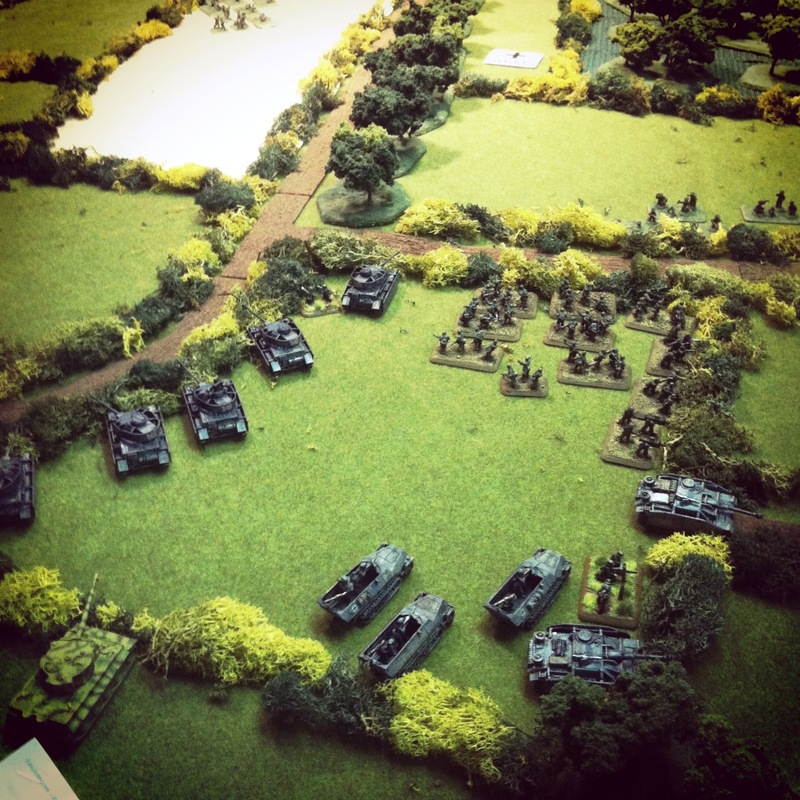 Admittedly, using this full platoon will take some practice but I’m certain they’ll be causing headaches for my German opponents in the very near future. 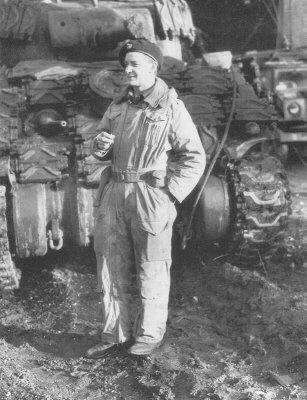 One of the greatest military impressions Germany left on the face of warfare during World War II was in its feared armored forces. 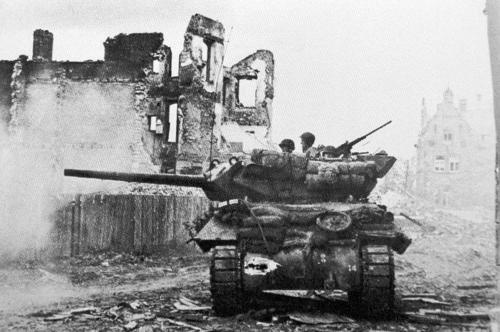 The famed Tiger I heavy tank gets a lot of the glory for its independence and near idestructability, but the Panzer IV medium tank served as the real backbone of German armored forces throughout the war. 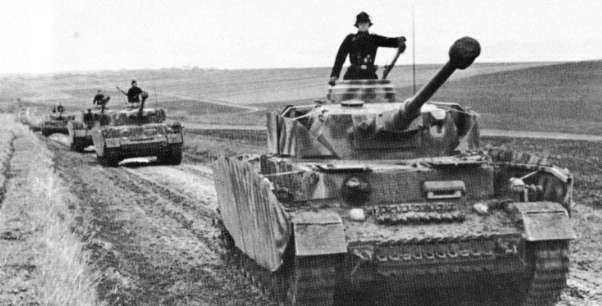 With improvements to its armor and gunnery made throughout the war, the Panzer IV would prove to be a tough nut for the Allies to crack until very late in the war. 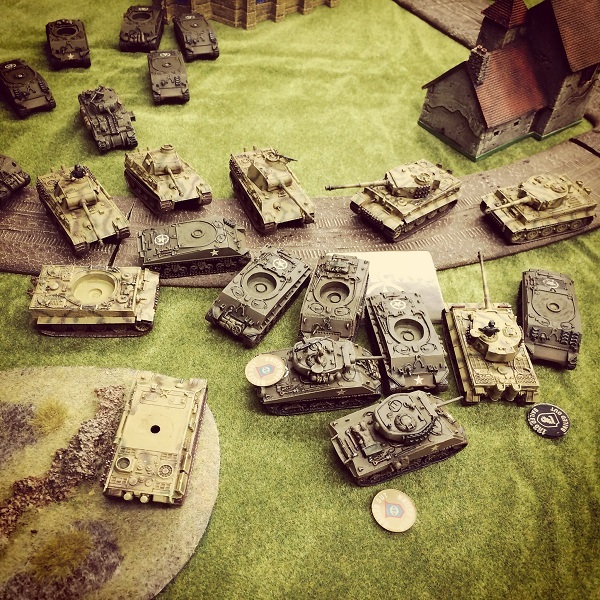 Especially in the period from the D-Day landings through to the Battle of the Bulge, the Panzer IV played an ever-increasing role in attempting to stymie the Allied advance right up until the eventual fall of the Third Reich in the spring of 1945. 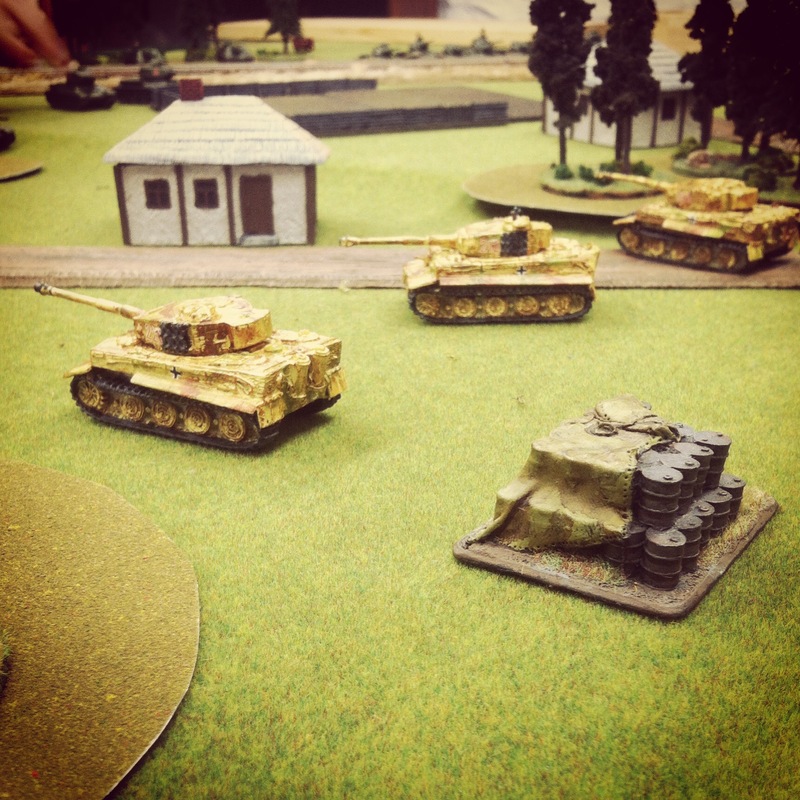 I already own a fair amount of German armor with Tigers, Panthers, Jagdpanzers and Stugs, but my force was sorely lacking in Panzer IVs. 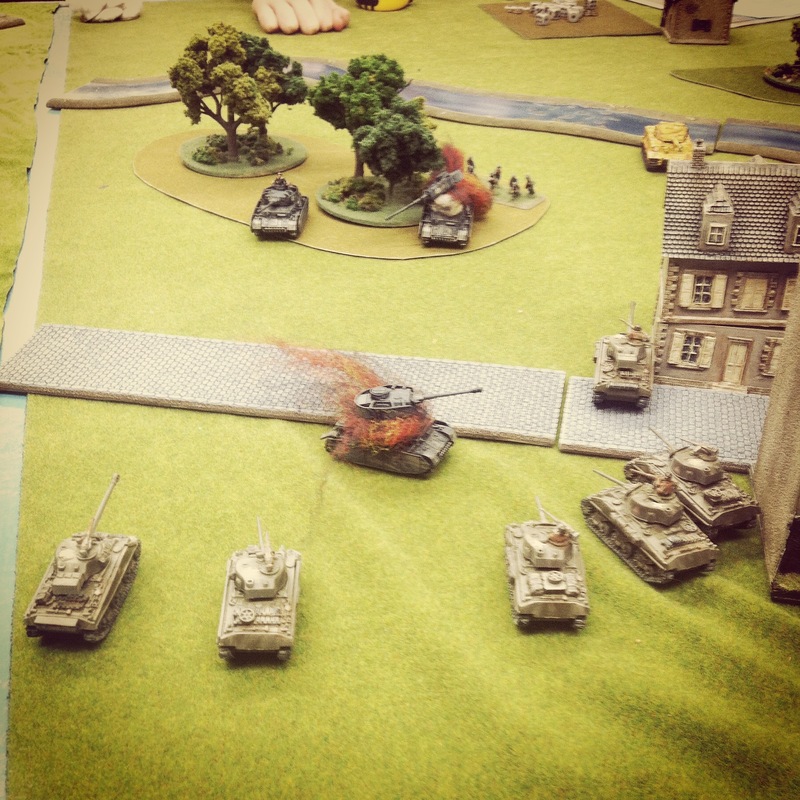 Most of my German tanks thus far have been from Battlefront, the makers of Flames of War (FOW). 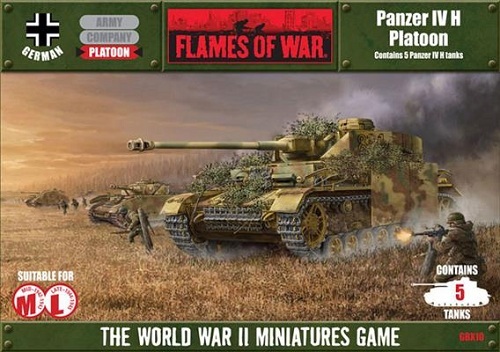 They offer a late war Panzer IV platoon in the pricey $50-60 range, depending on whether you pick the set up online or in a store. 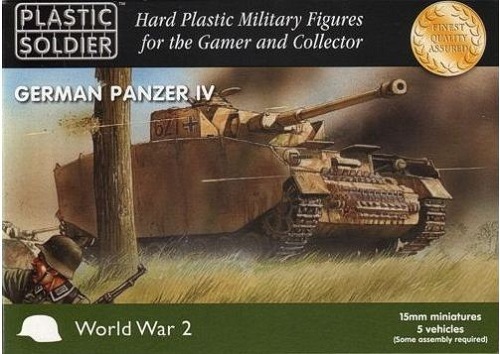 Going on some recent experience with the PSC Allied Stuart tank set, I went with the Panzer IVs from the Plastic Soldier Company (PSC) at about half the FOW cost. 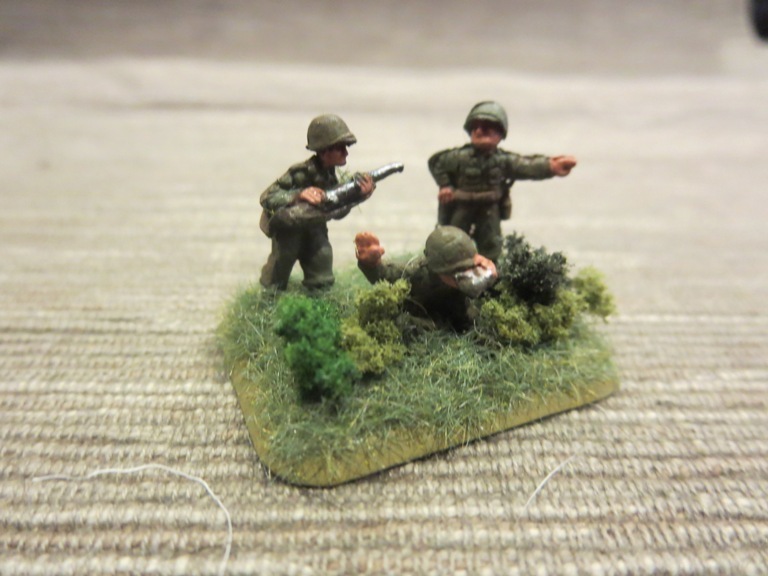 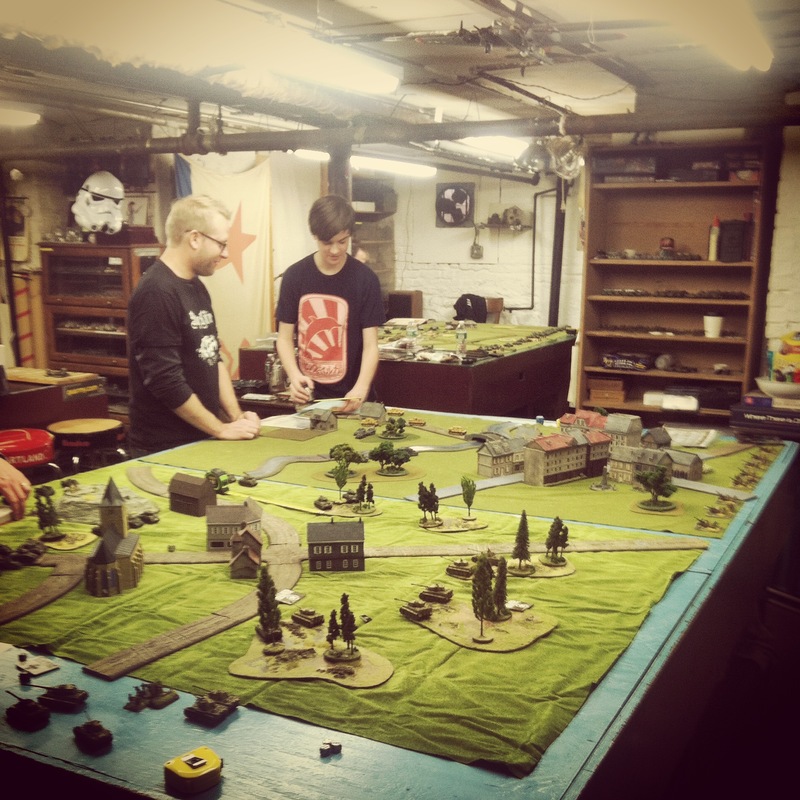 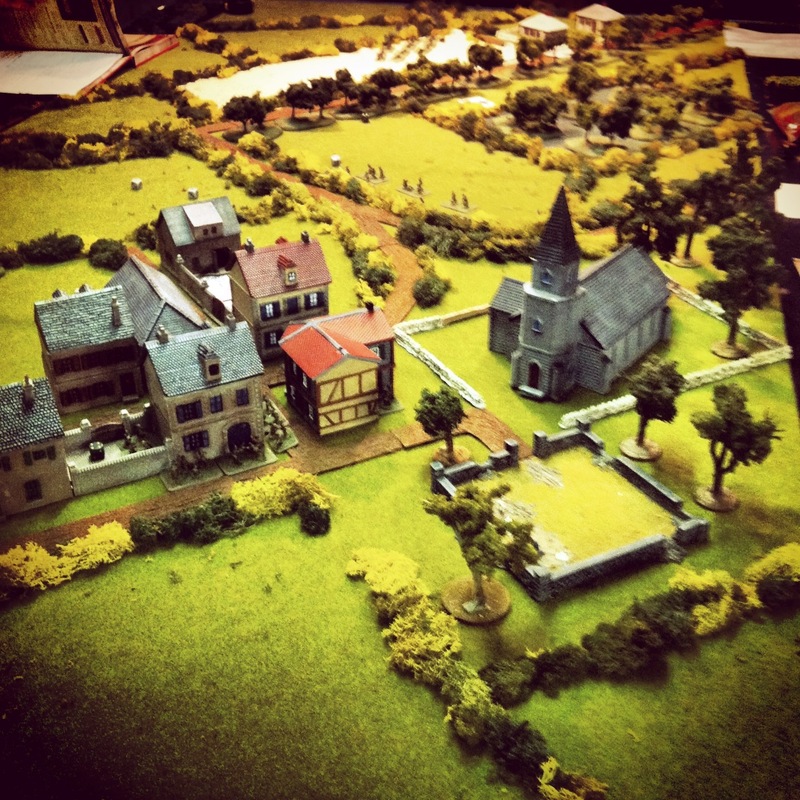 Unlike the FOW sets, PSC kits come with options to model miniatures in several periods. 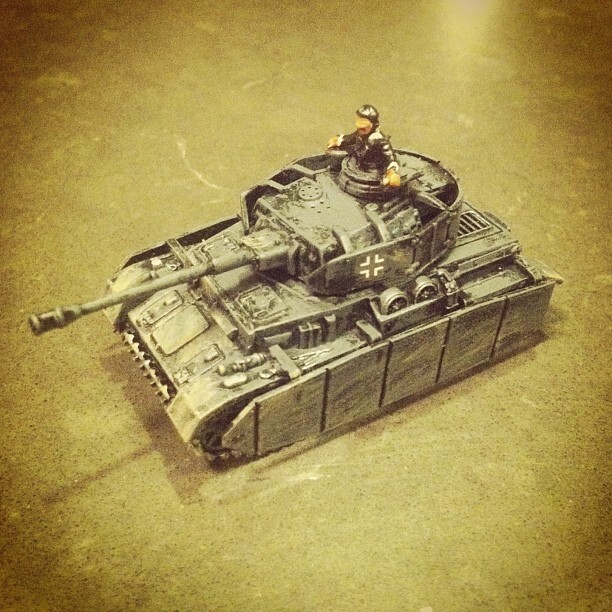 This allowed me to model my tanks as the later war Panzer IV Ausf H with its extra armor and gun power. 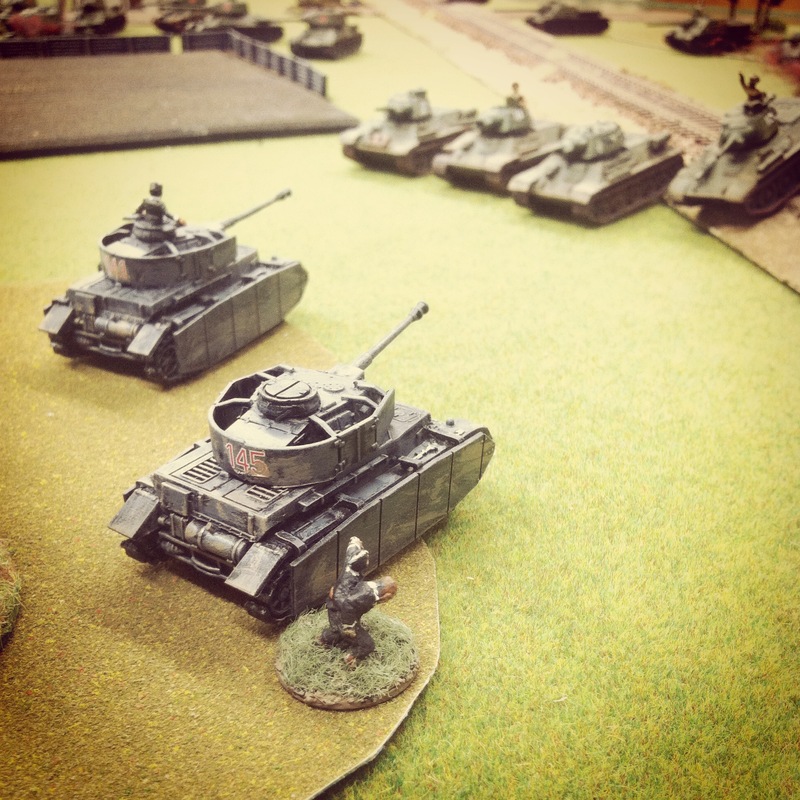 Like the Airfix kits of my youth, the PSC tanks are comprised of lots of little parts. 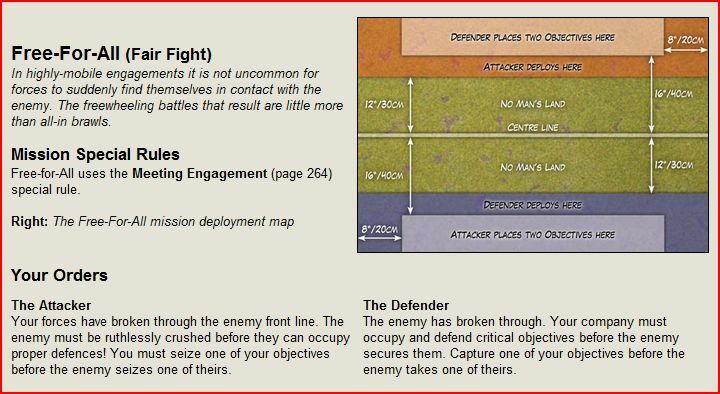 The diagrams included in the box offer clear color-coded keys to getting the correct pieces off the sprues and blow-up schematics for gluing the pieces together. 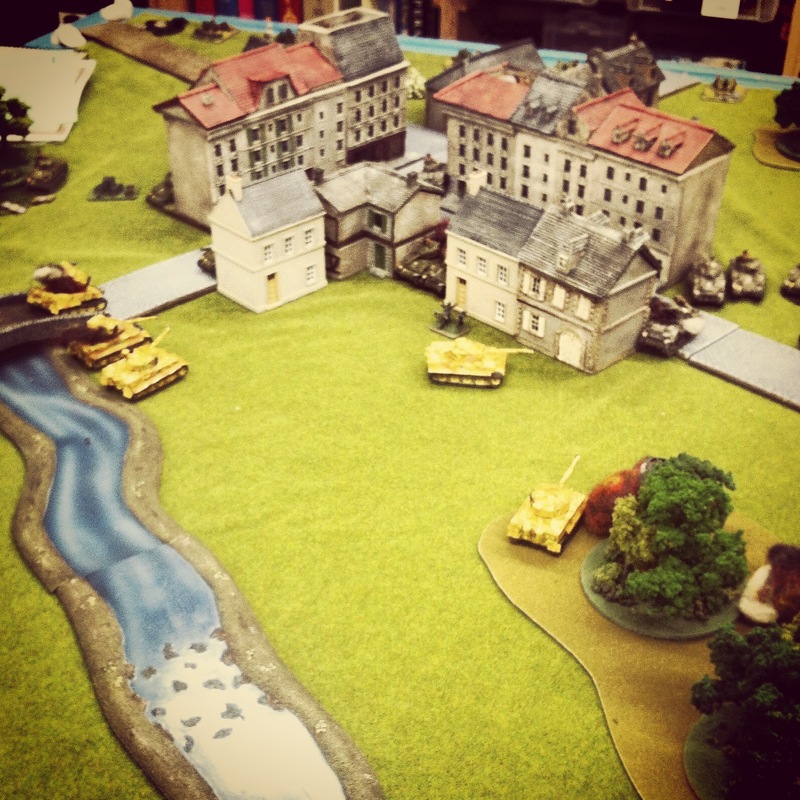 If you’re like me, keeping your workspace clean and organized will prevent you from losing your mind during the multi-step assembly process. 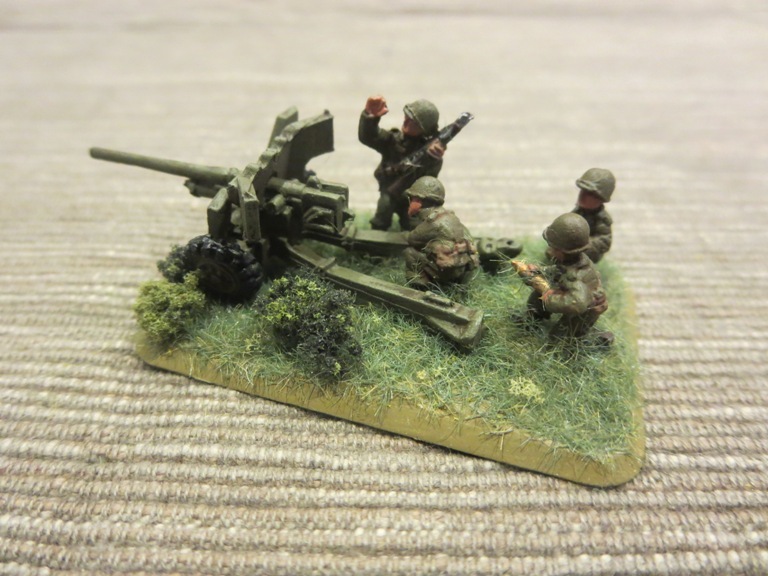 The sprues also leave some leftover parts which either go straight into the trash or into container of miscellaneous plastic for future modelling use. 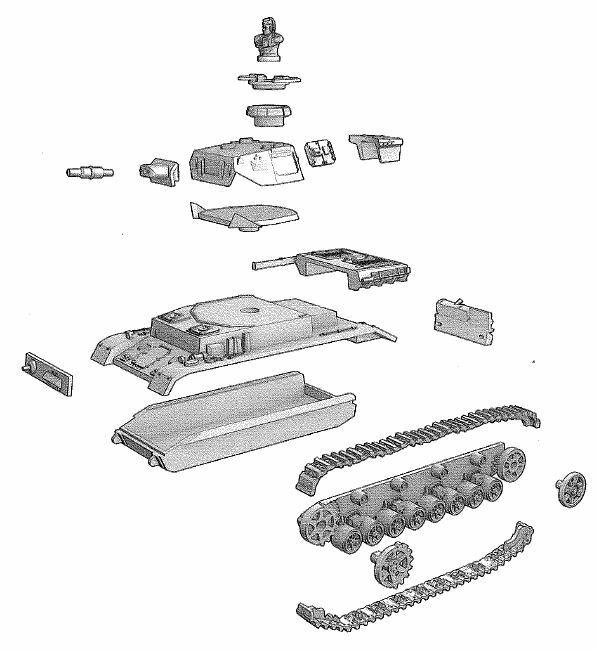 Lots of parts means lots of steps. 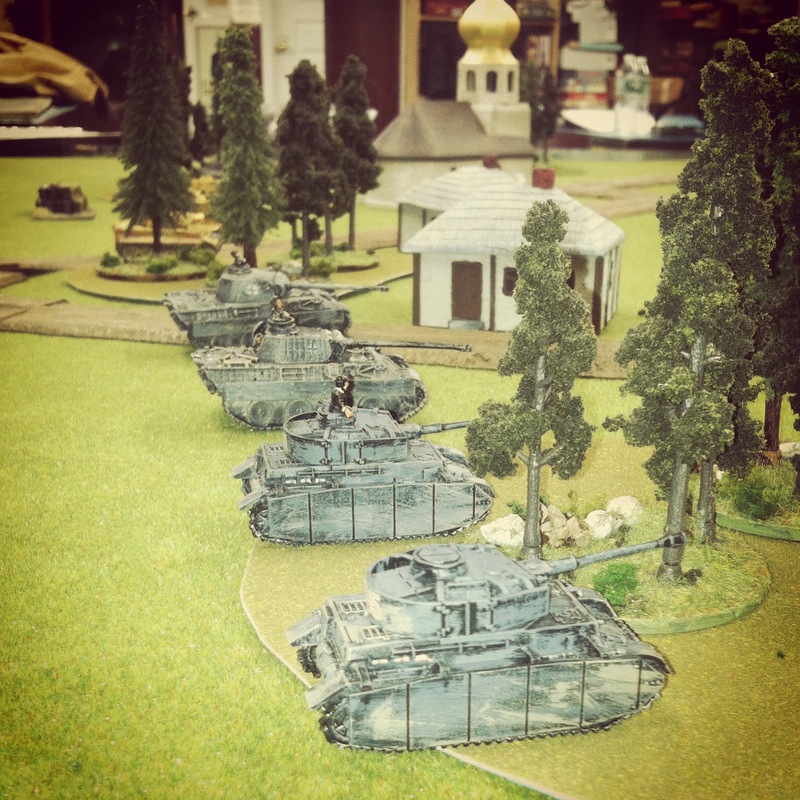 The turrets alone are compromised of 9-10 parts and aligning the tank tread sections needs to be done carefully. 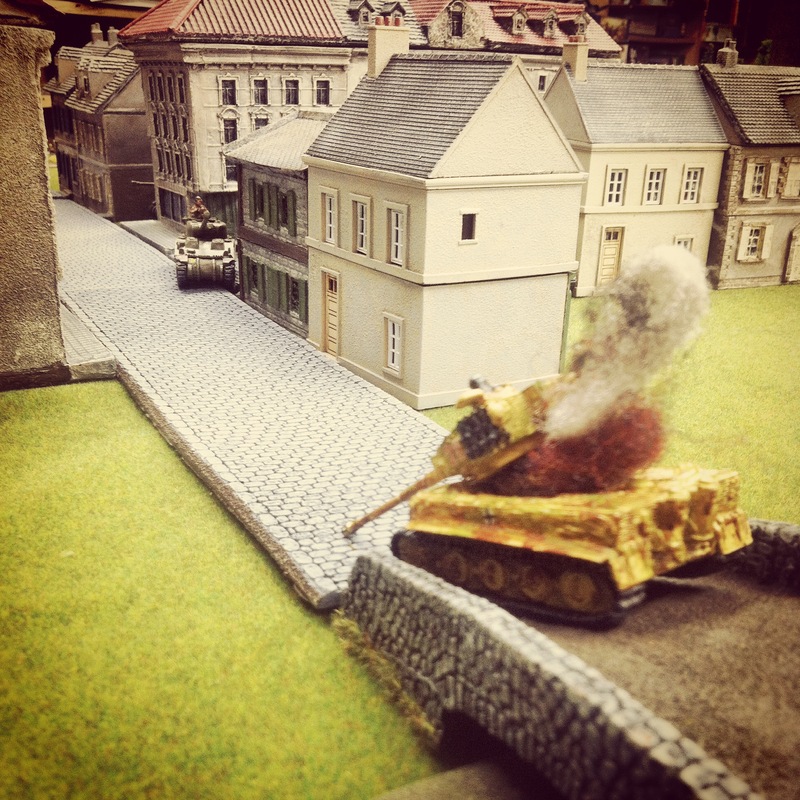 I also found the hole on which the turret sits to be a bit tight, so I carefully drilled those out slightly larger. 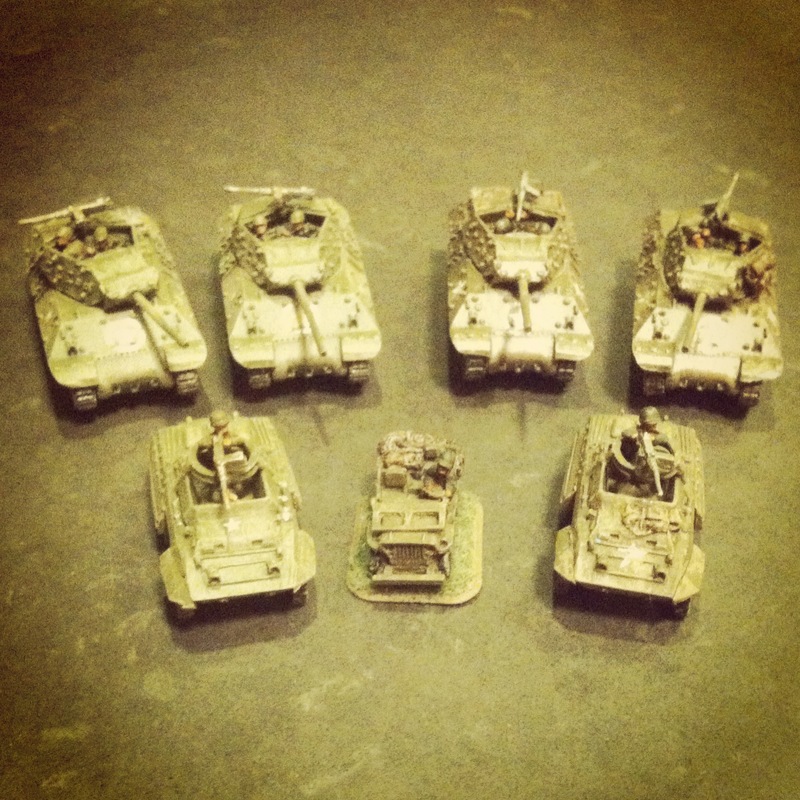 My Panzer IVs were completed with a basic grey-schemed paint job over a flat black spray base to match my existing models. 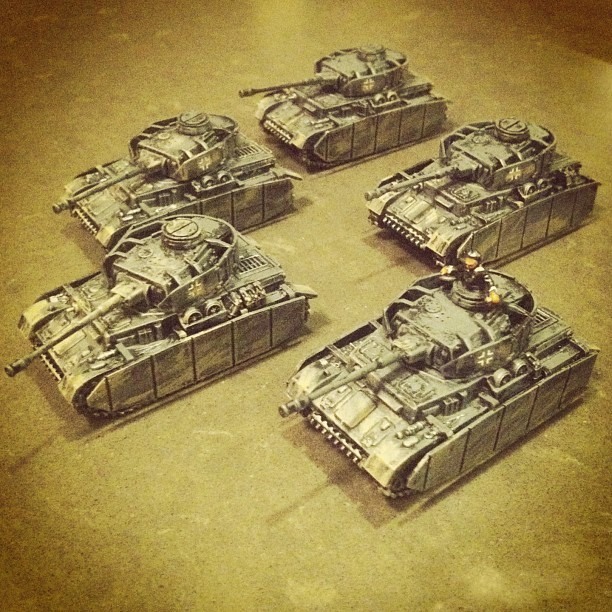 With assembly, painting, decals and a matte finish finishing coat, these tanks are ready to hit the table in just a couple work sessions. 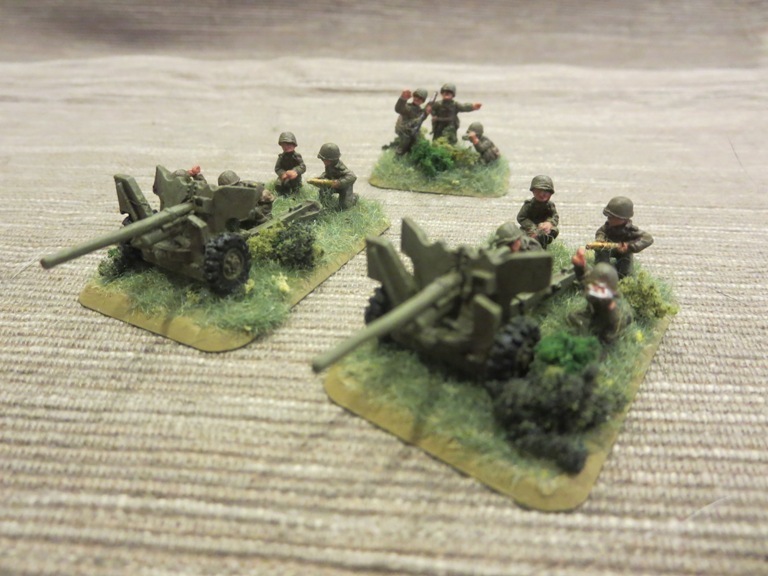 Compared to FOW models, the PSC tanks take a bit longer to put together and parts can be finicky, but I really like the PSC models when complete. 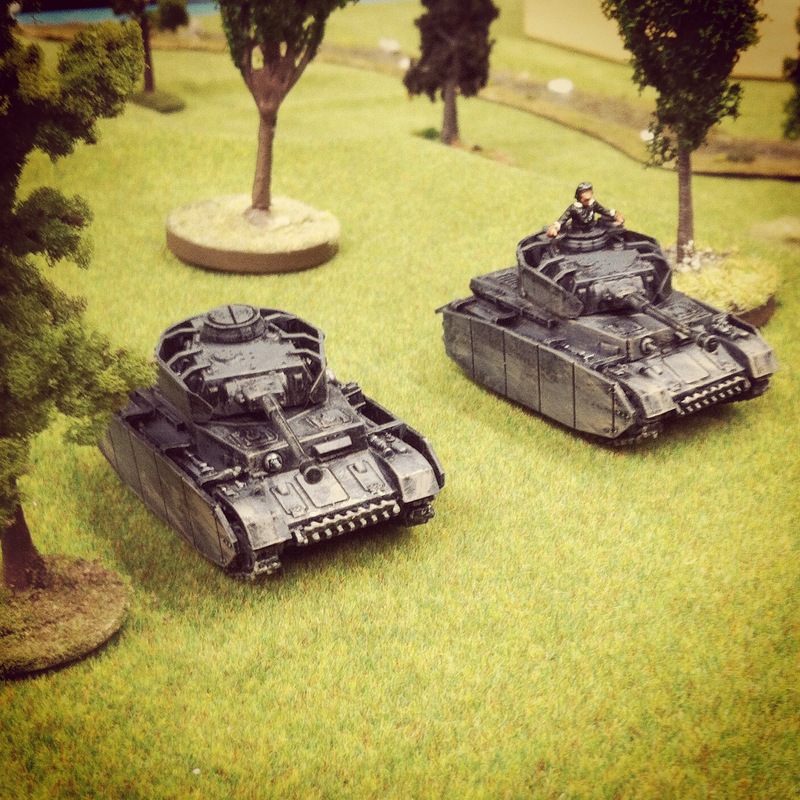 The PSC tanks offer crisper molding and some fine details like a slight sag in the upper parts of the treads and hangers for the side and turret Schurzen. 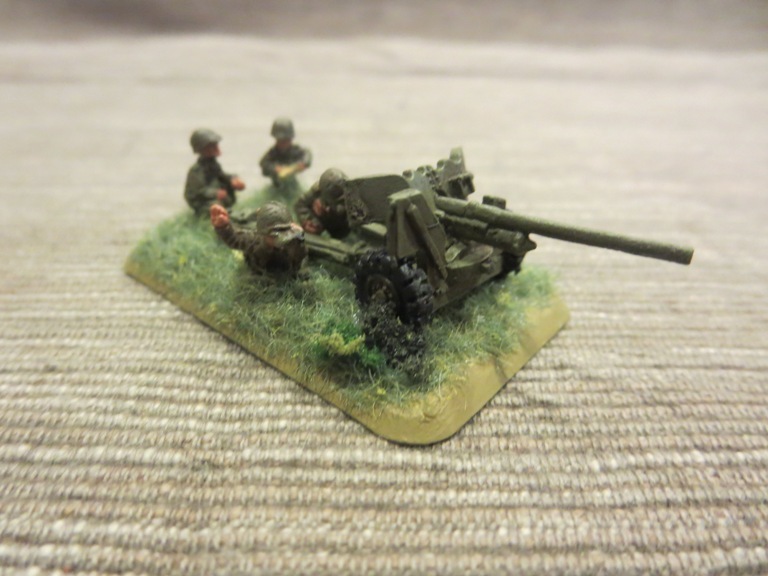 Models are light, making for easier storage and transport. 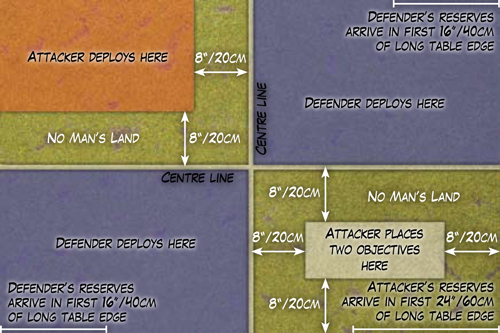 Putting together kits from PSC just feels a lot more like model building than what you experience with FOW and some other manufacturers. 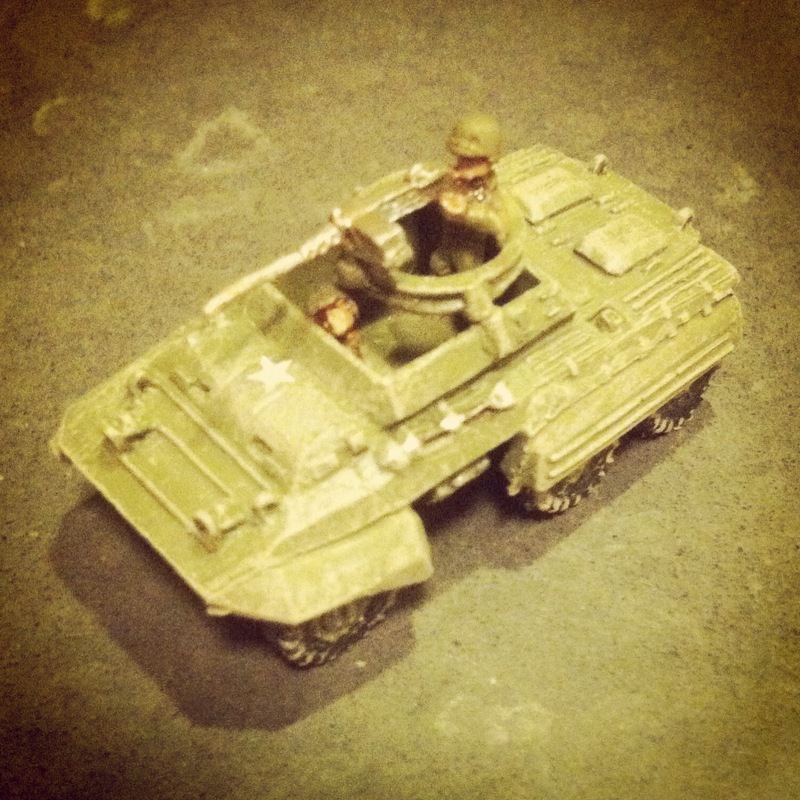 With so much economic pressure on miniature wargame funding budgets, you can’t beat getting more armor in the field for the low cost and fine results from the Plastic Soldier Company’s Panzer IV kit.